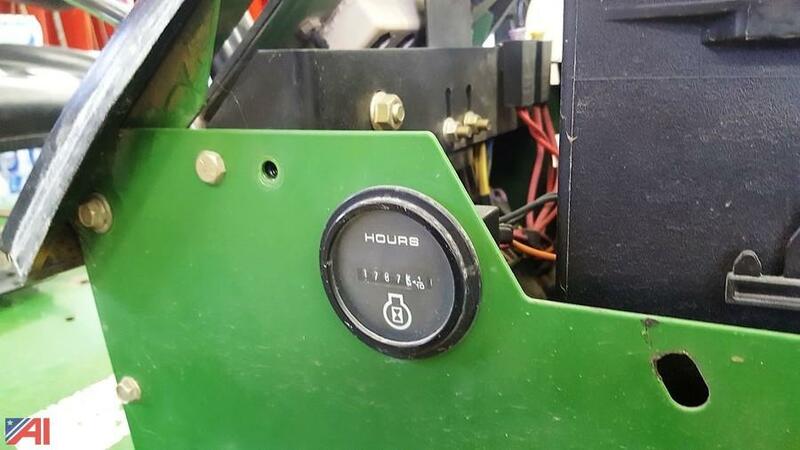 Mechanical Notes: Currently still in service, so the hours may change. 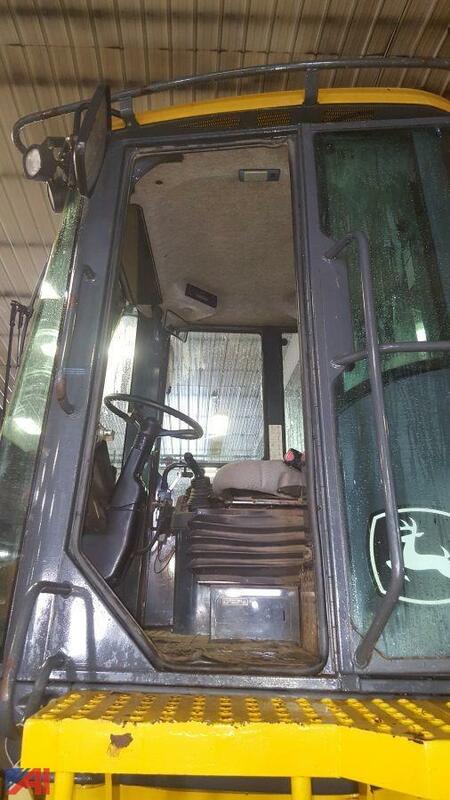 It has been fleet maintained and service records are available. 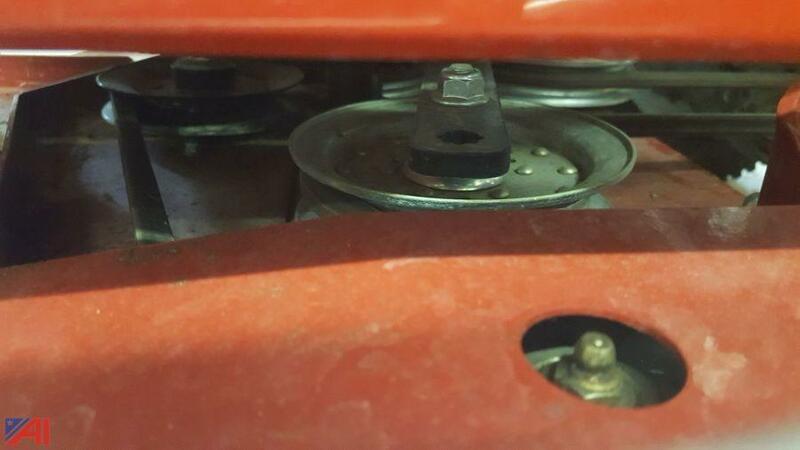 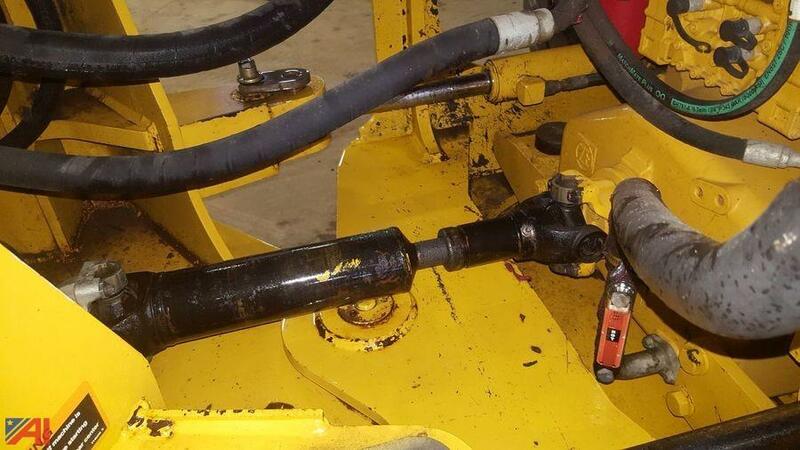 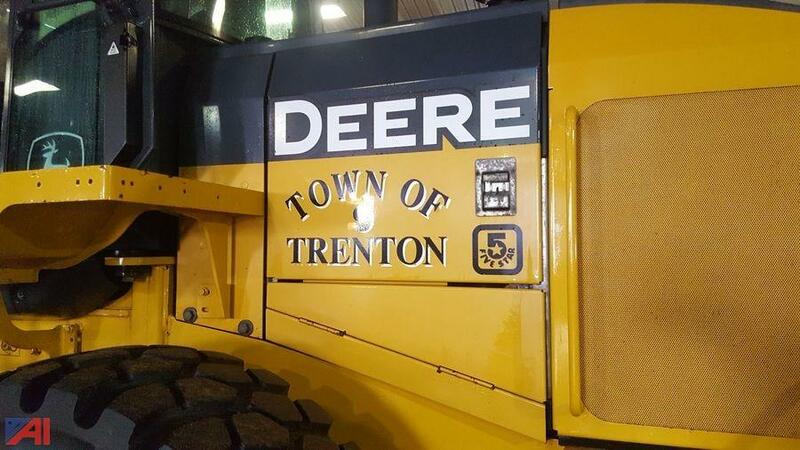 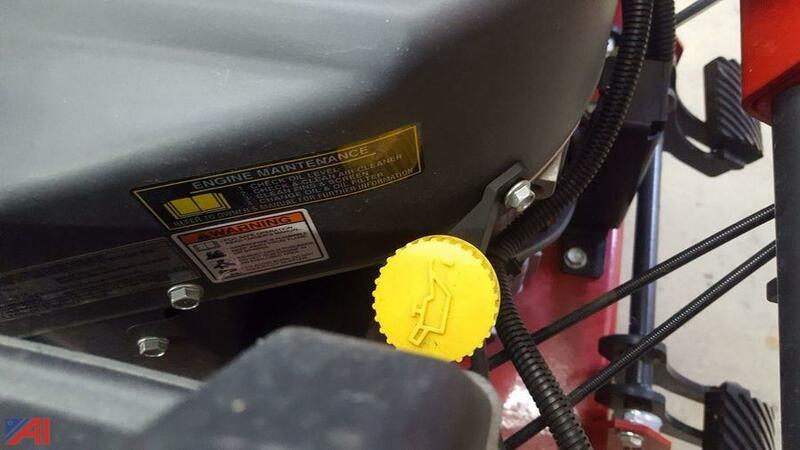 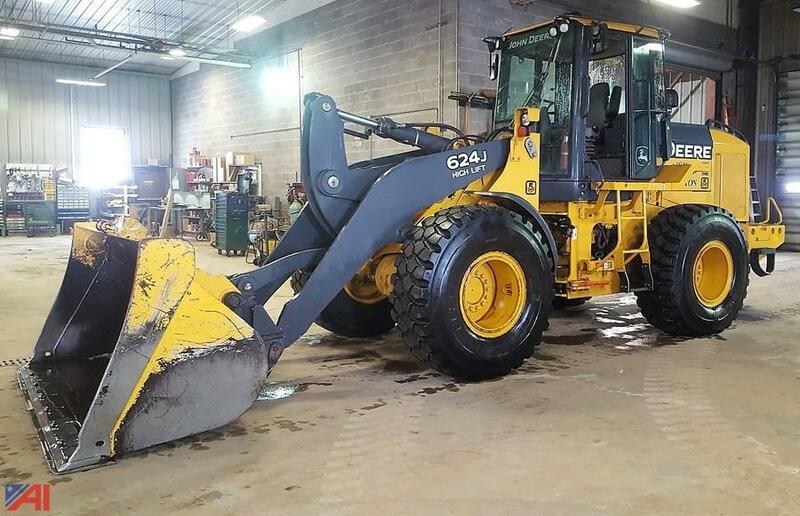 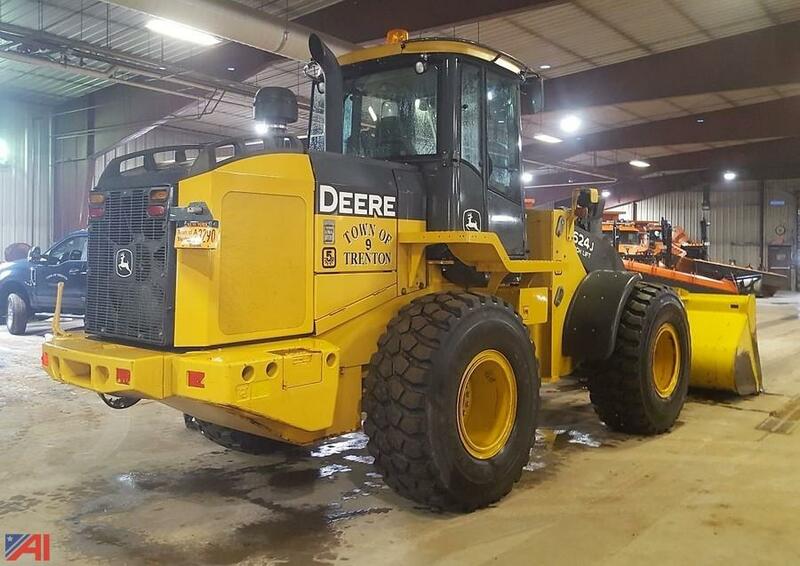 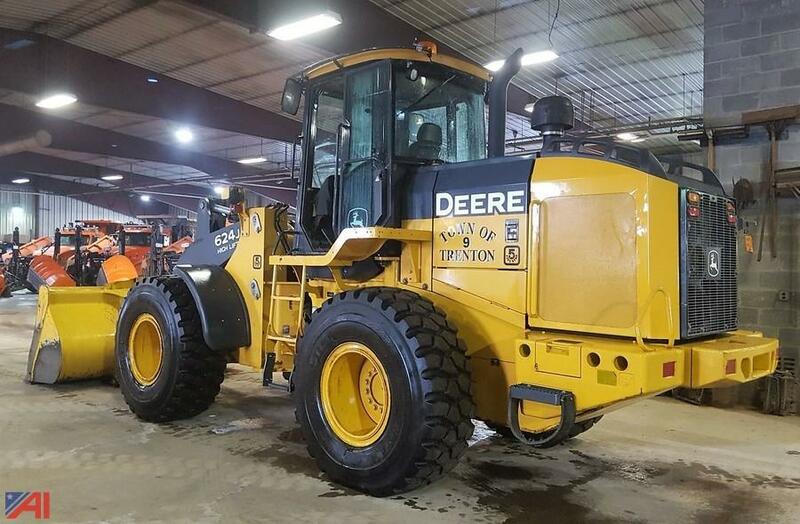 The loader is equipped with the 3rd valve. 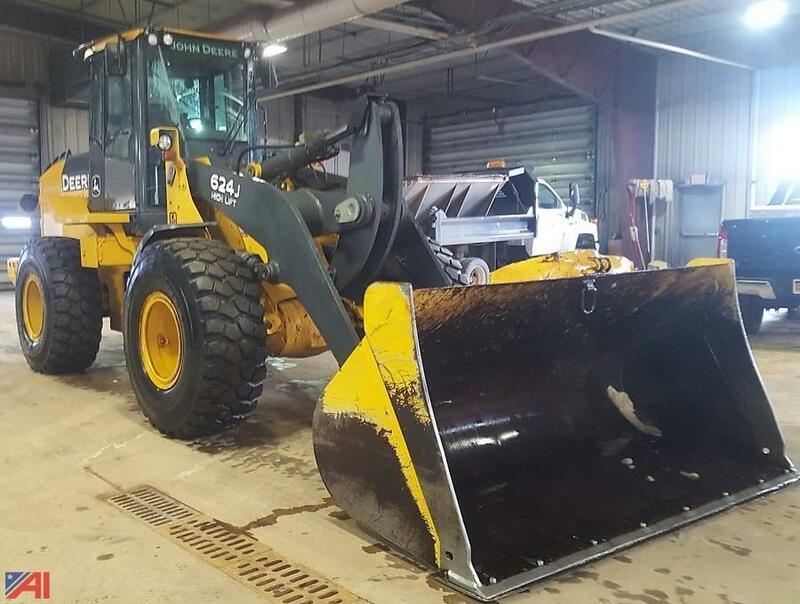 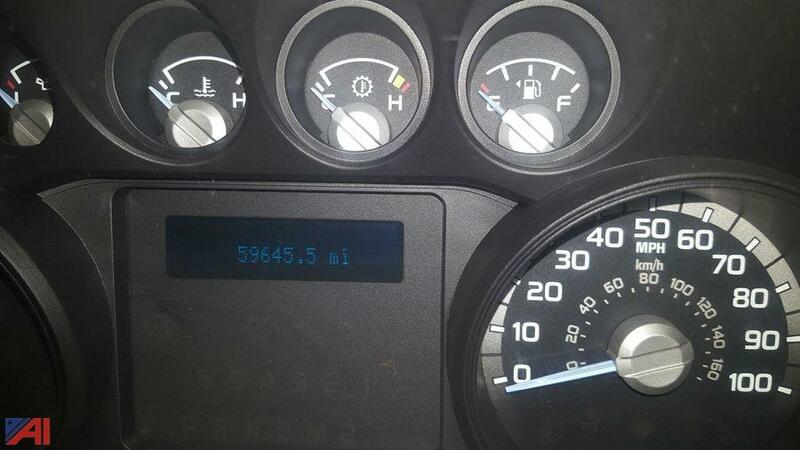 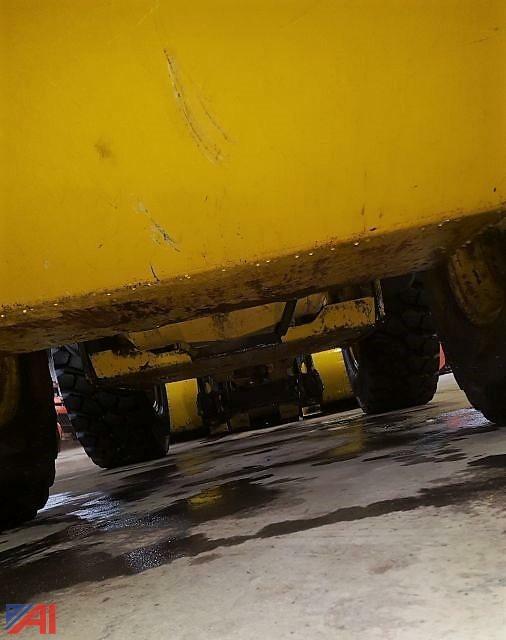 Body Notes: The loader has never seen salt! 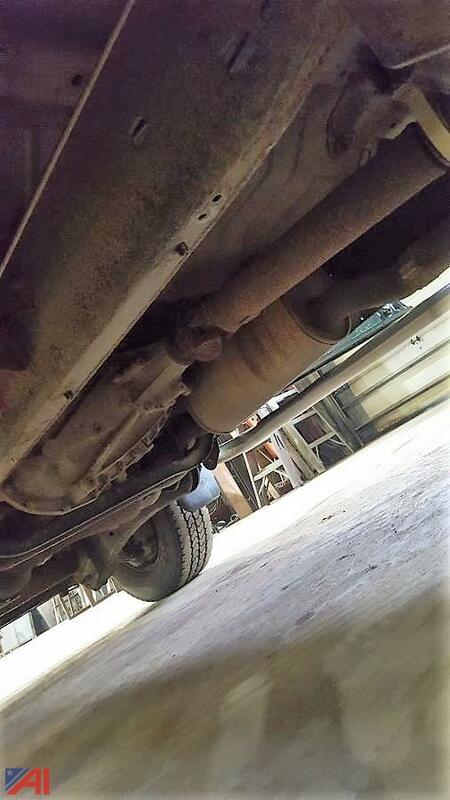 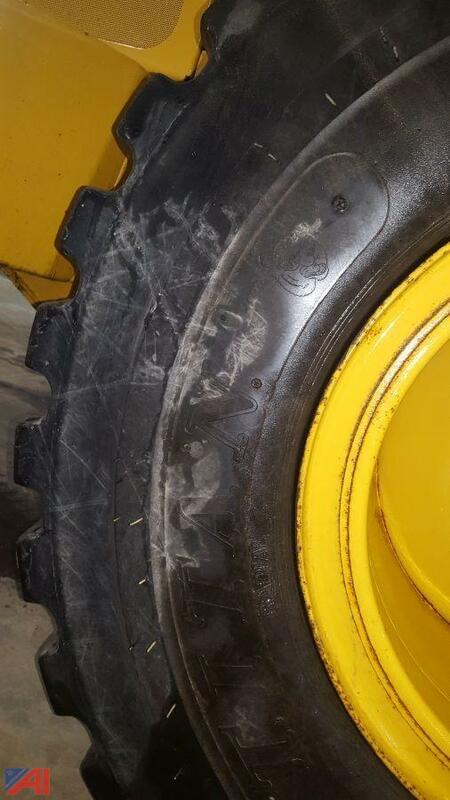 There is some minor surface rust in areas, but the body is in overall good condition. 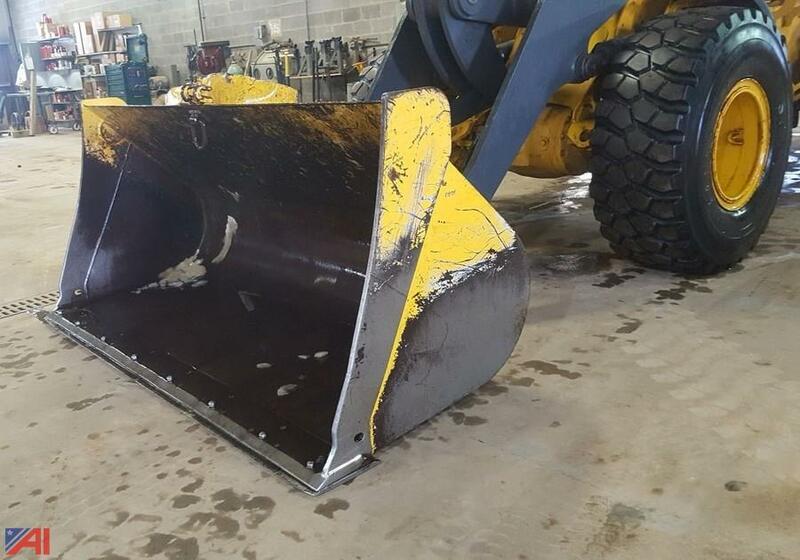 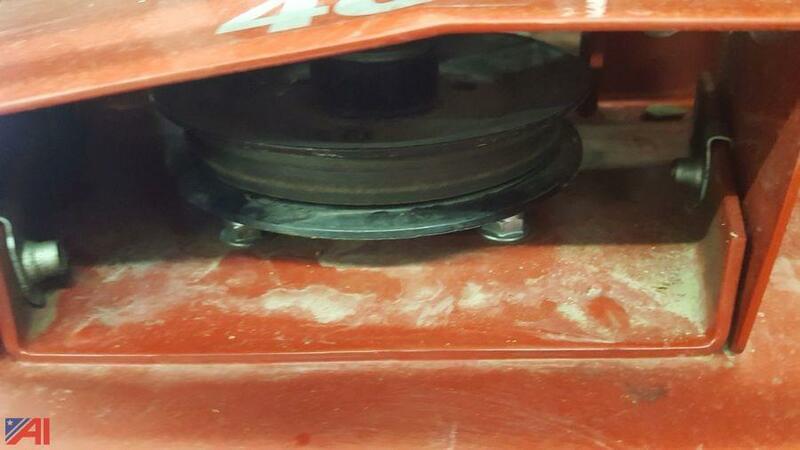 It has a 3.5 yard bucket. 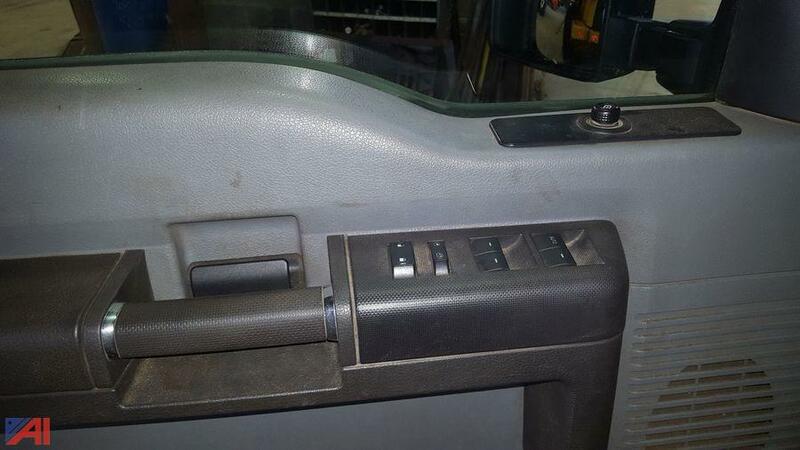 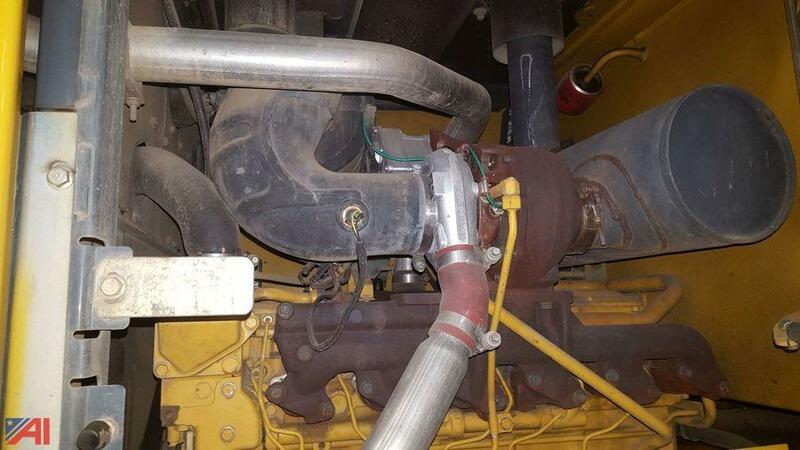 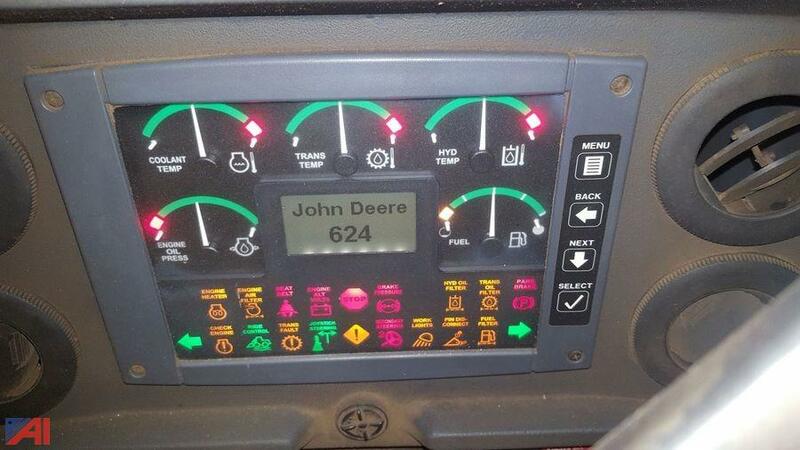 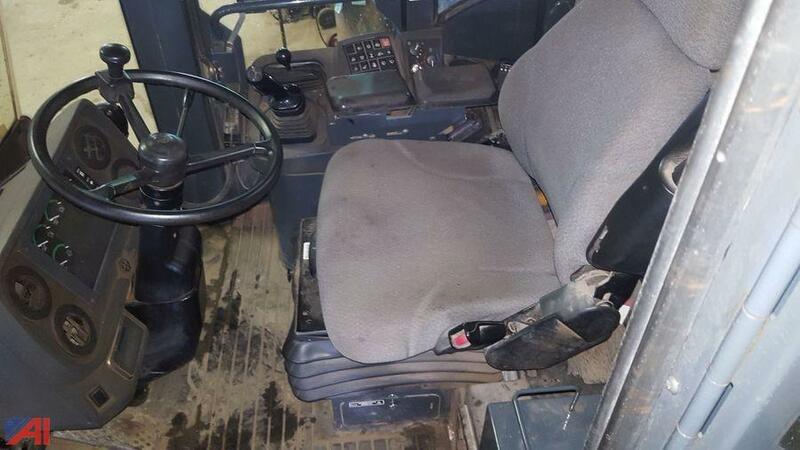 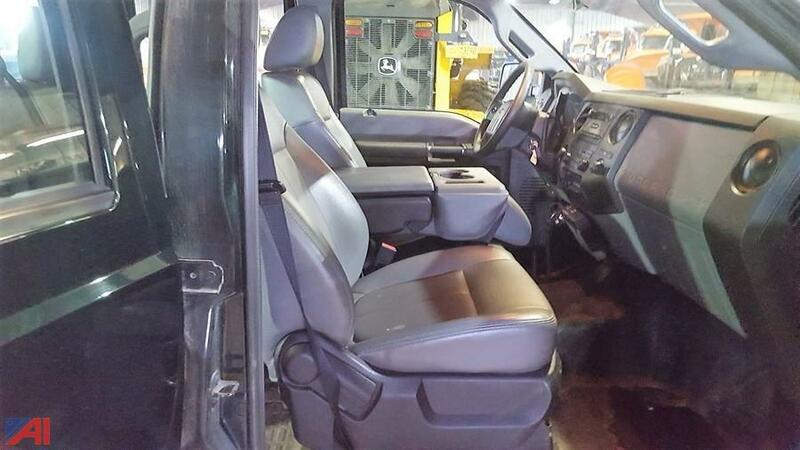 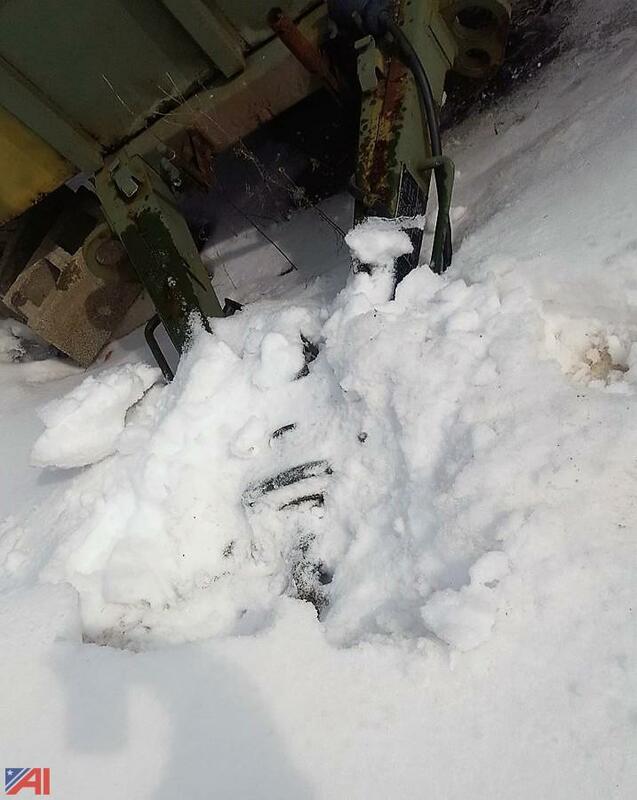 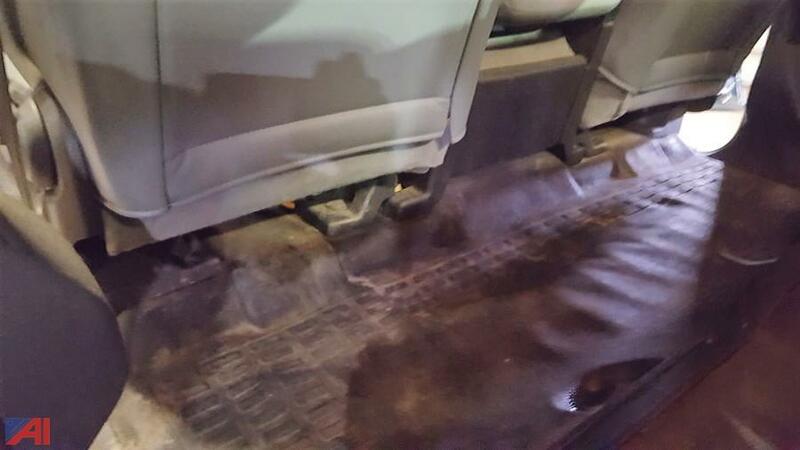 Misc Info: The cab has heat, but no A/C. 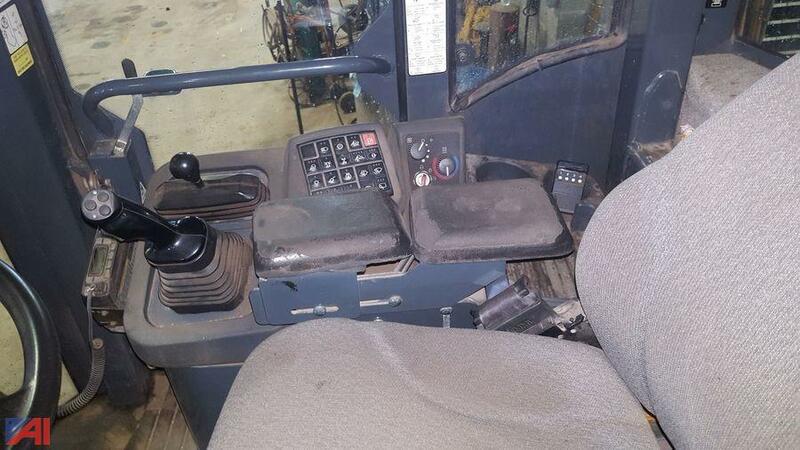 The 2-way radio is NOT included and will be removed prior to the buyer removal! 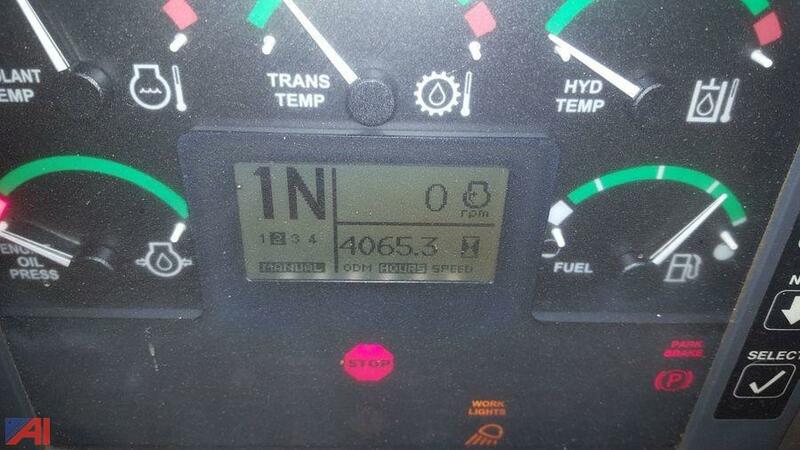 Mechanical Notes: Currently still in service so the mileage will change. 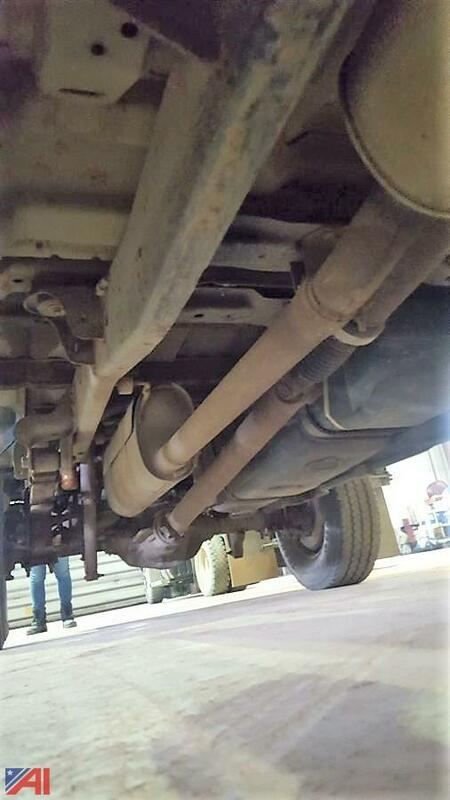 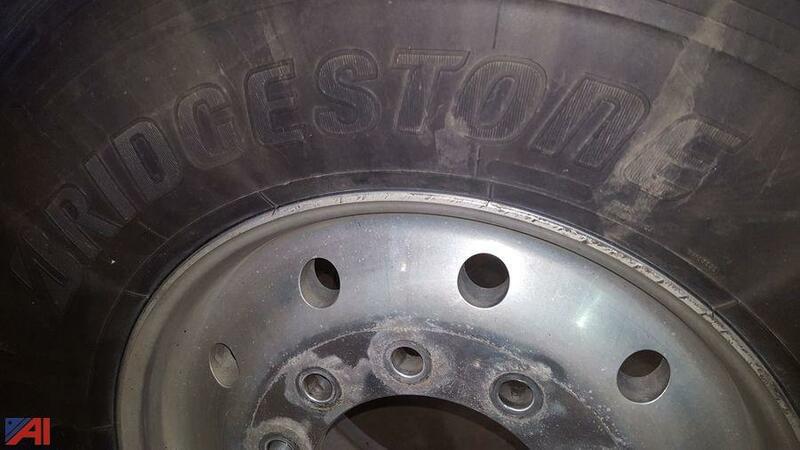 The truck has been fleet maintained and service records are available. 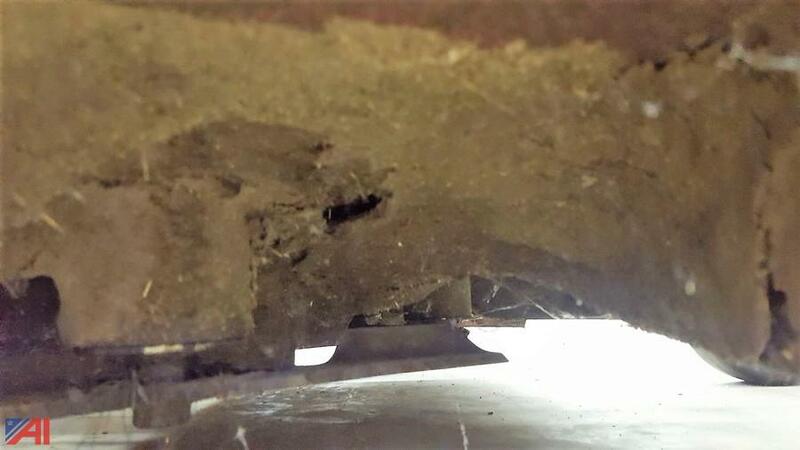 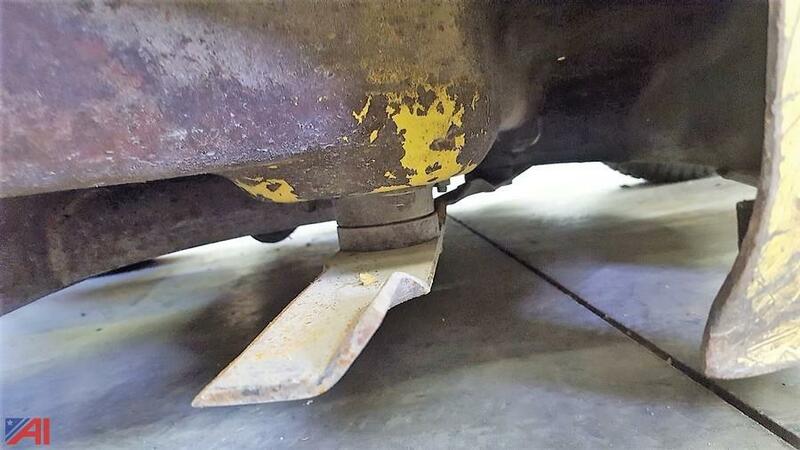 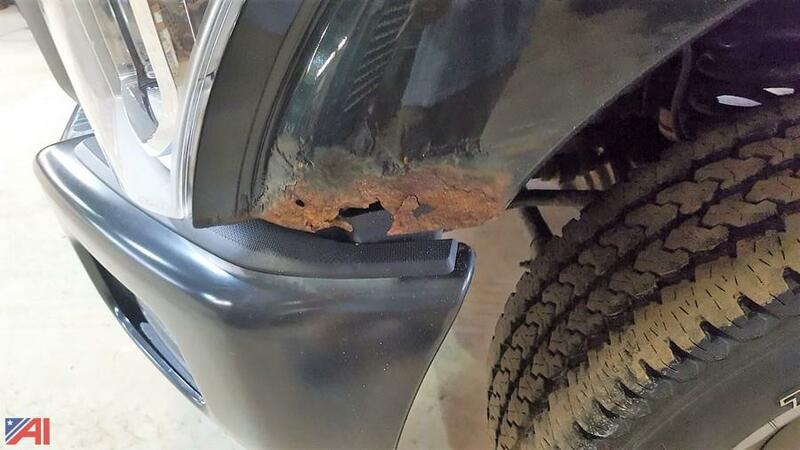 Body Notes: The front fender is rusted through on the driver side, rust along the lower extremities and around the wheel wells. 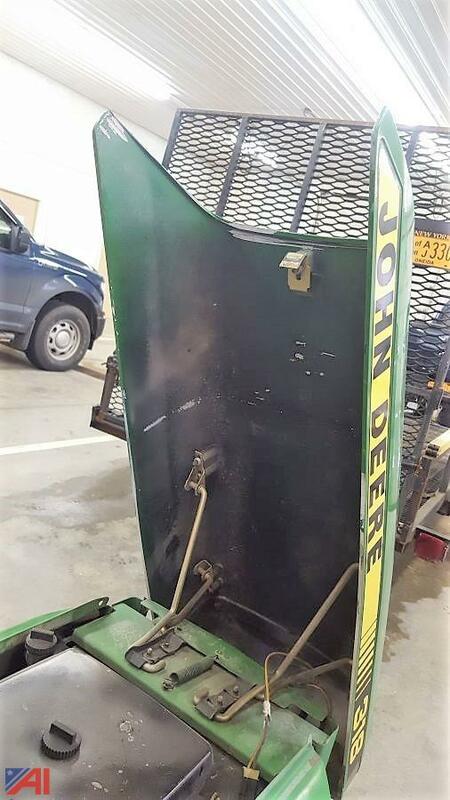 The tailgate has dents and dings throughout. 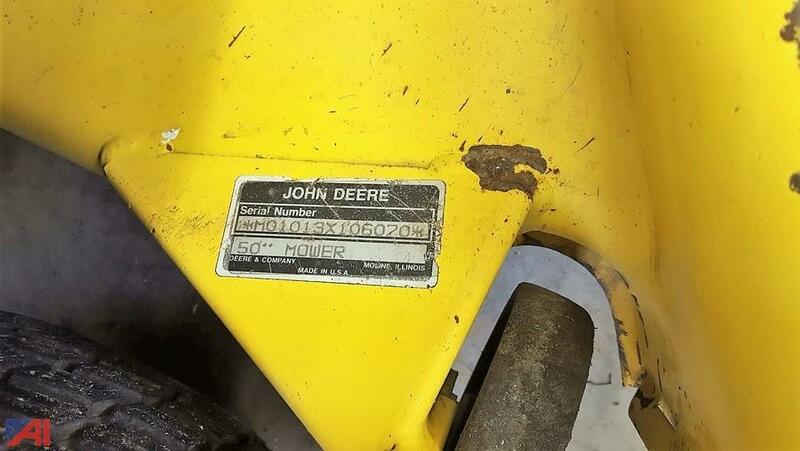 Minor scratches, dents and dings throughout. 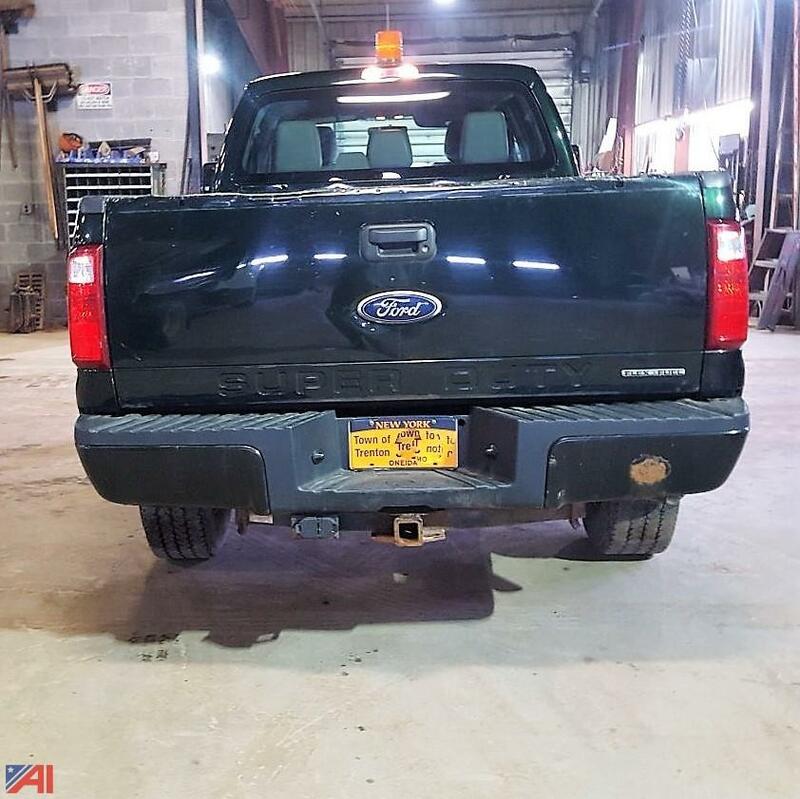 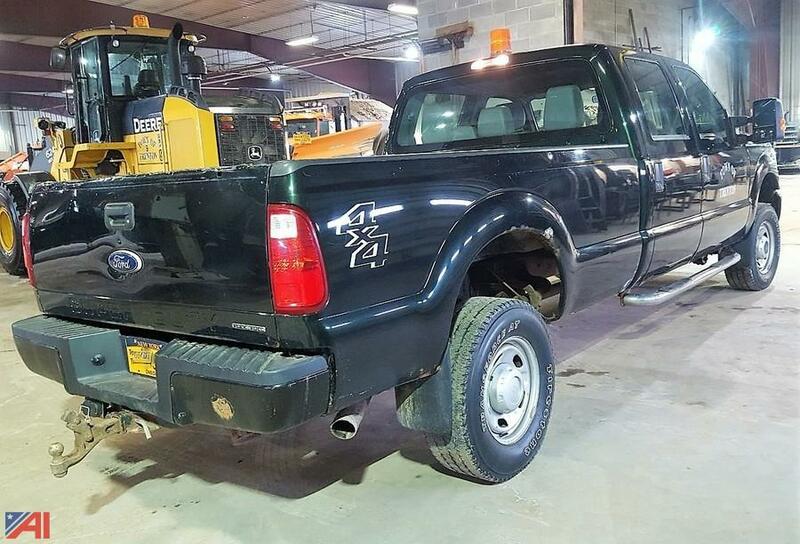 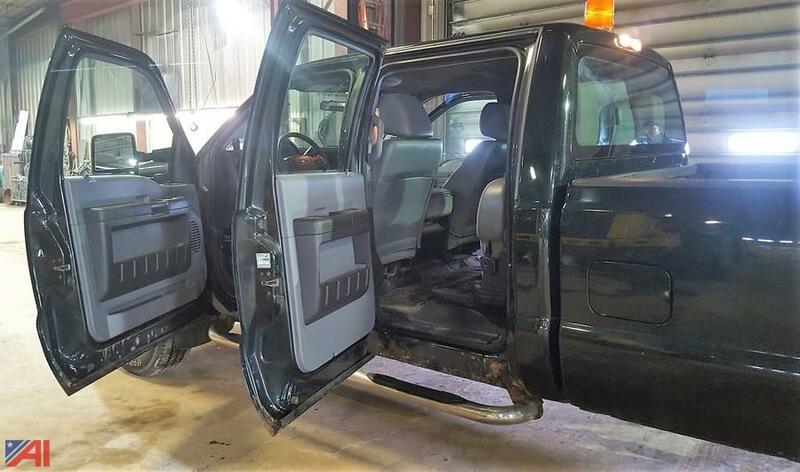 The tow hitch receiver is NOT included and will be removed prior to the buyer removal. 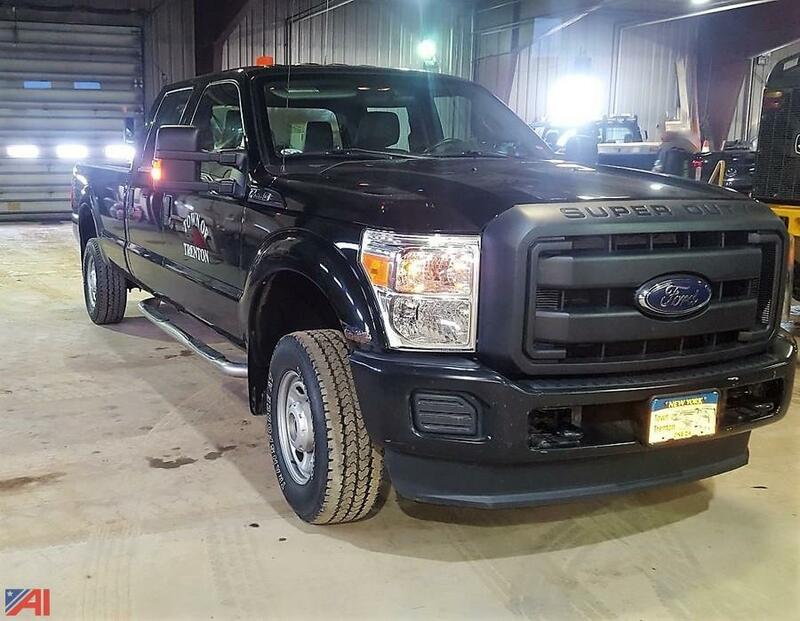 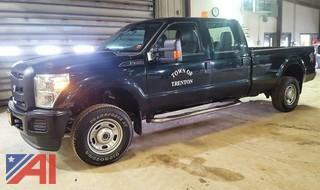 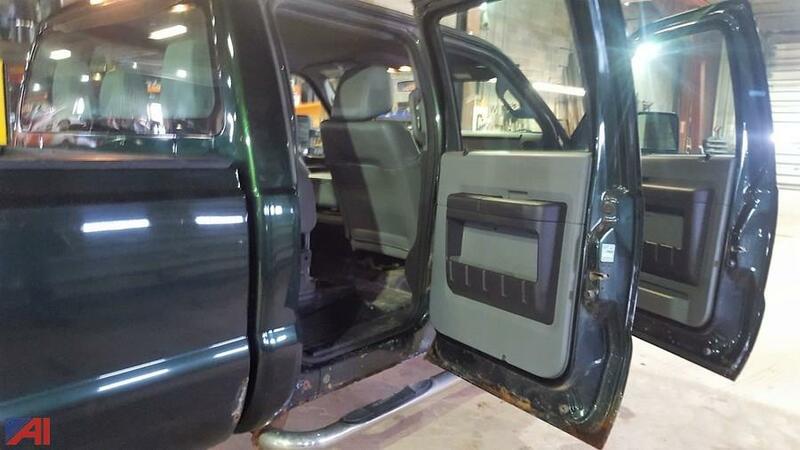 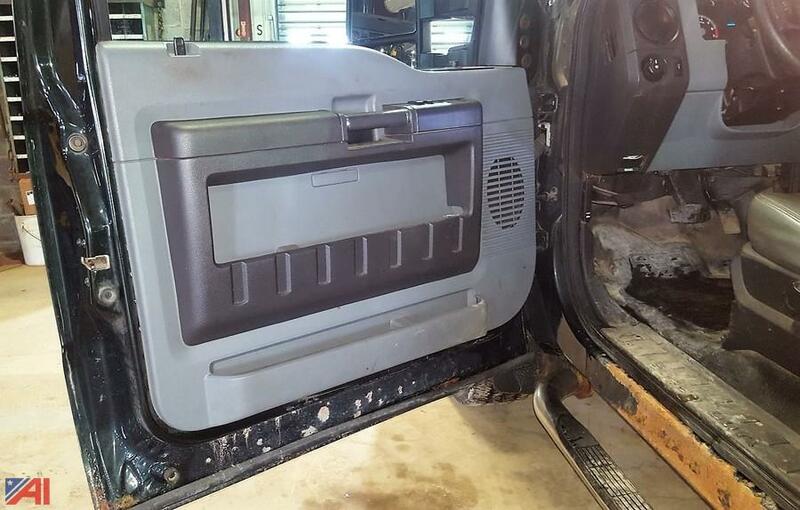 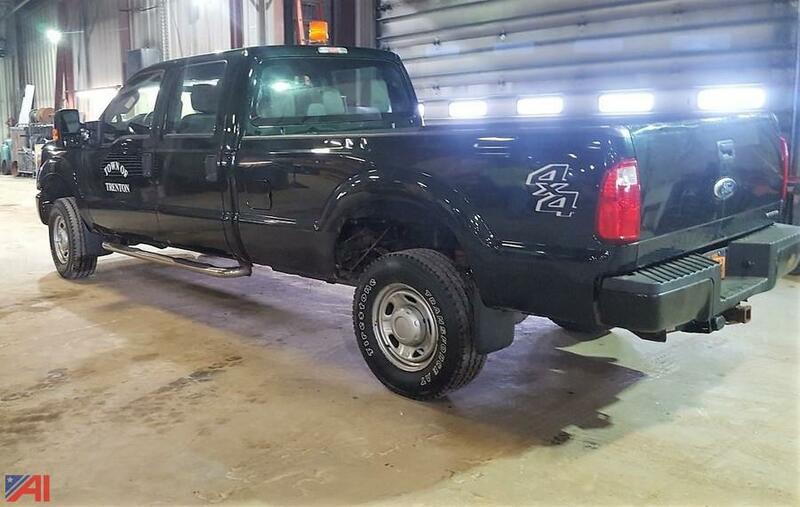 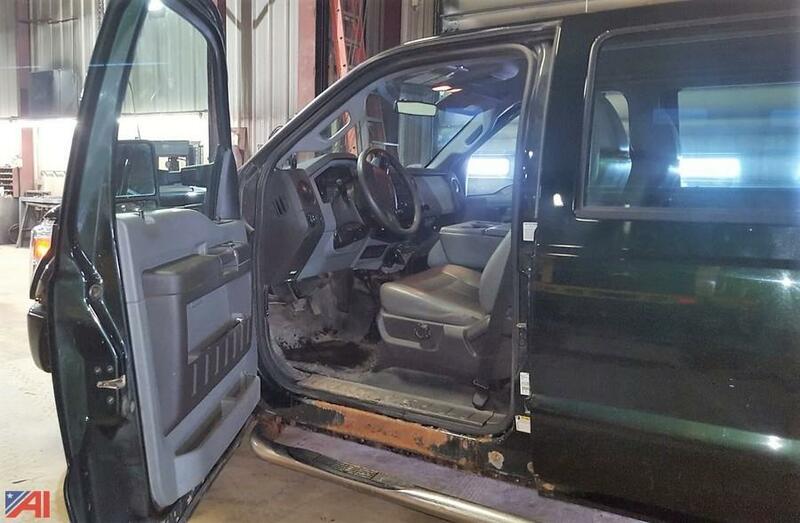 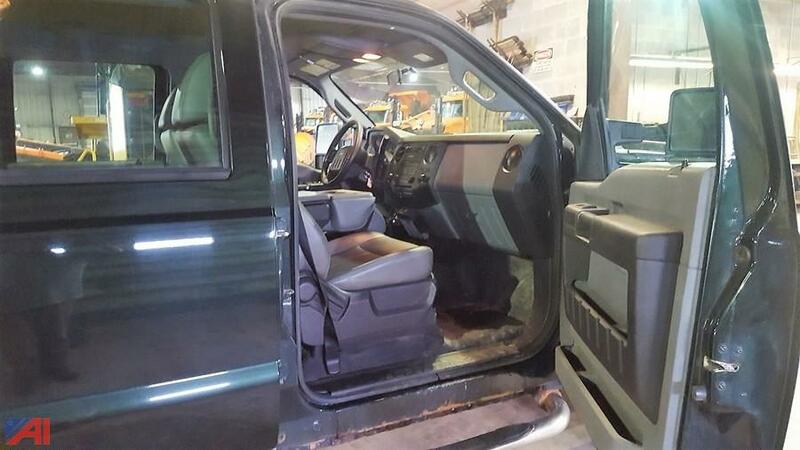 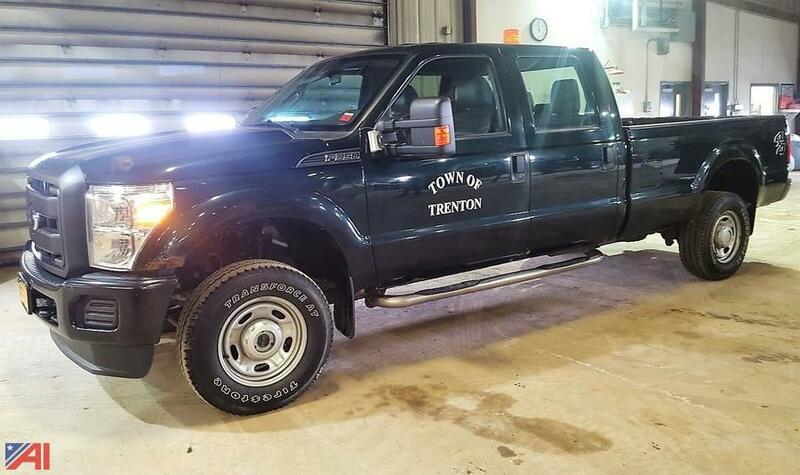 The truck has side steps, tow hitch, top safety light and spray in bed liner. 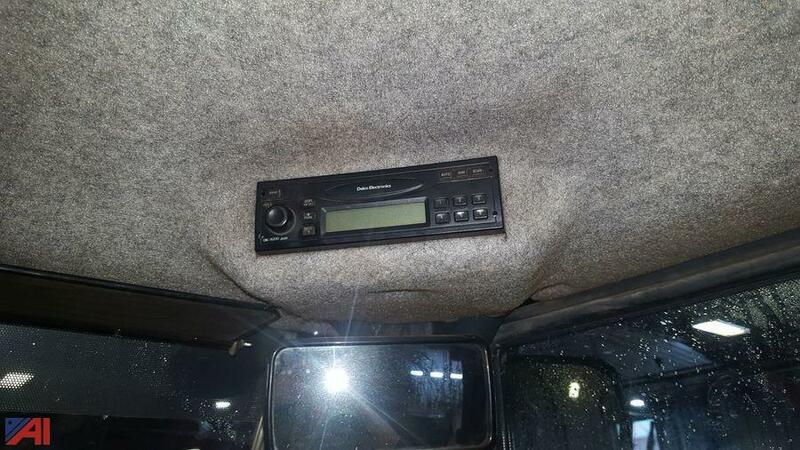 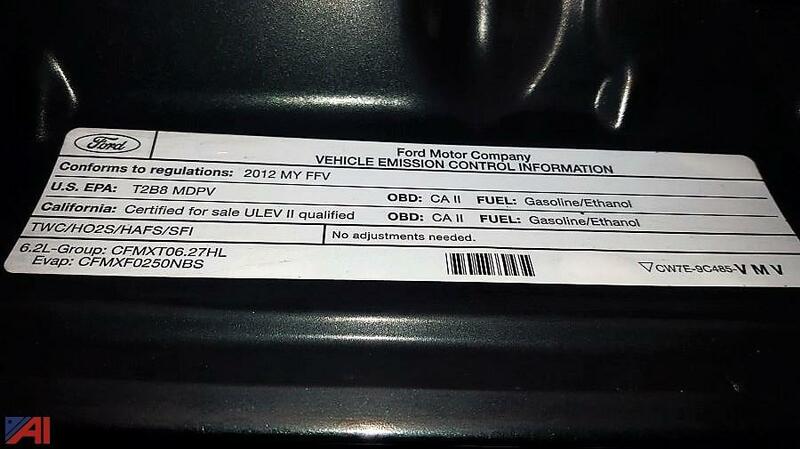 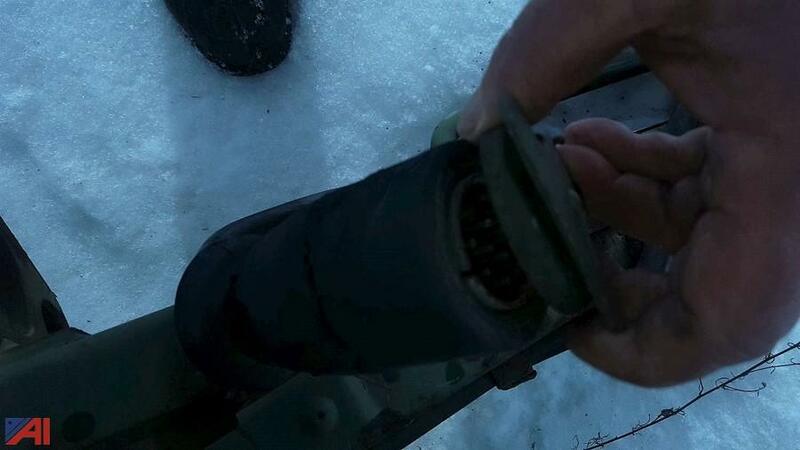 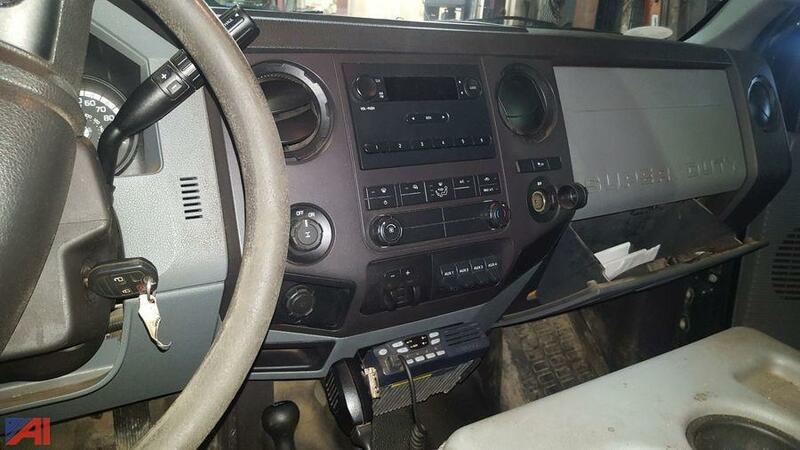 Misc Info: The road temp sensor and the 2 way radio are NOT included, and both will be removed prior the buyer removal. 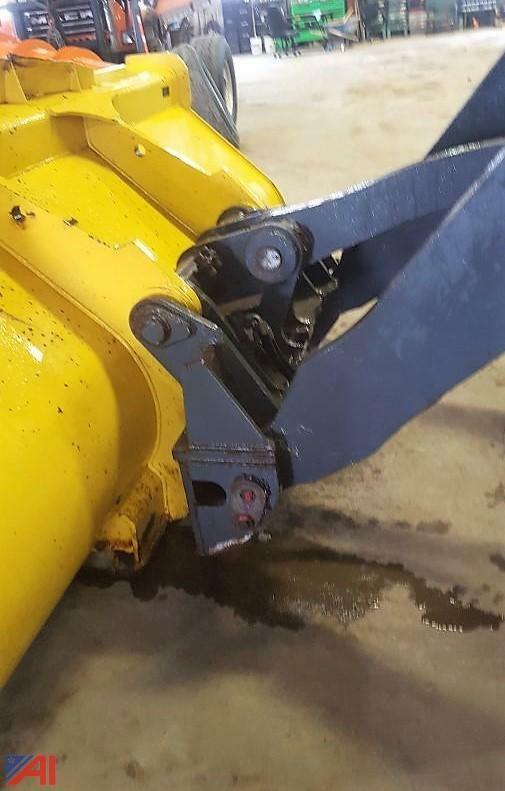 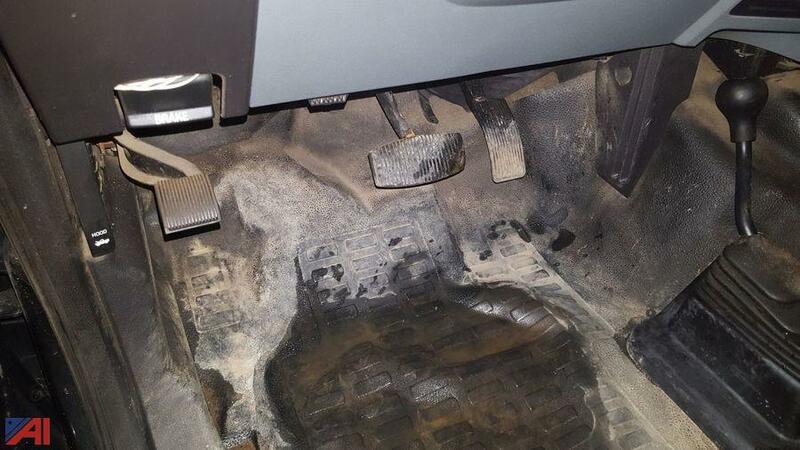 Needs a light cleaning. 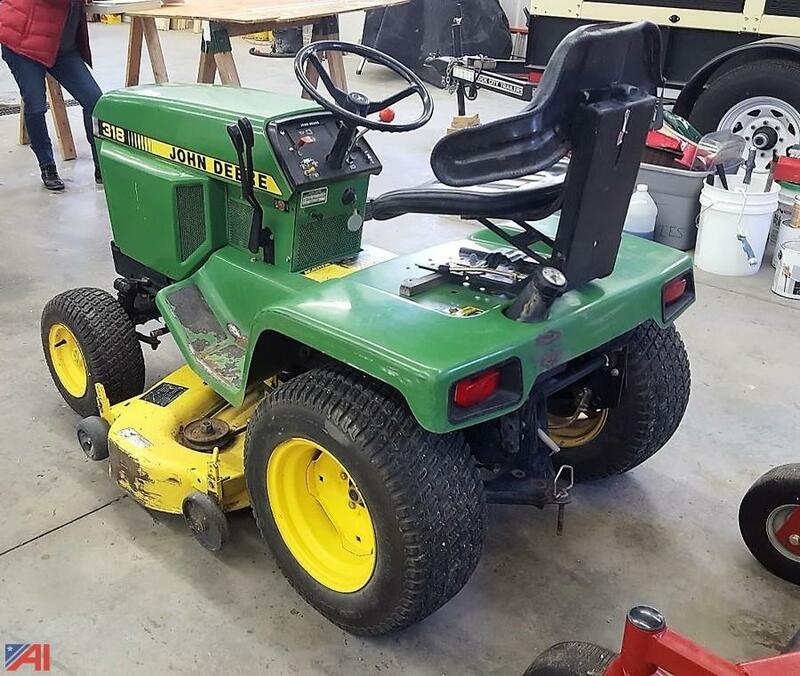 The mower was used for infield maintenance on baseball field. 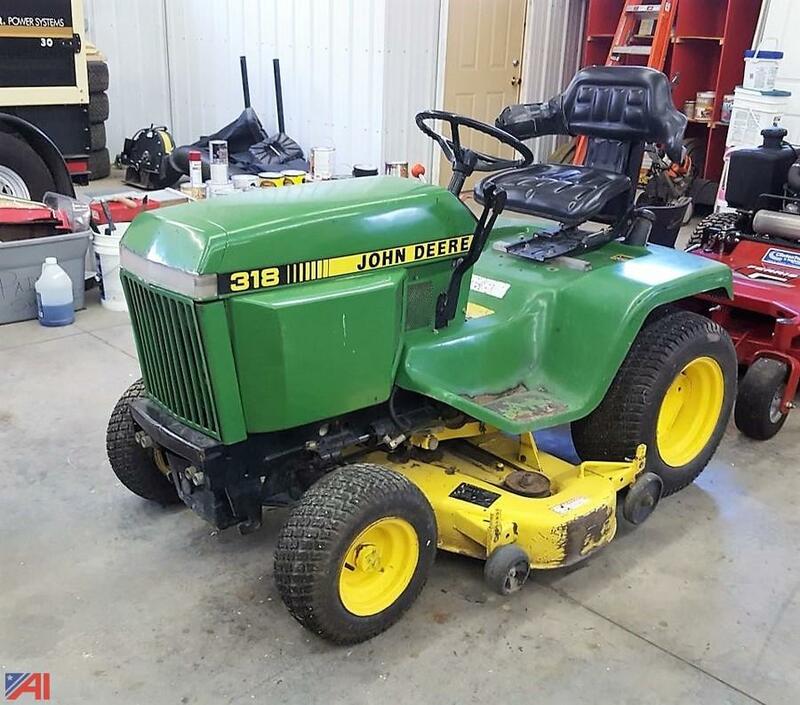 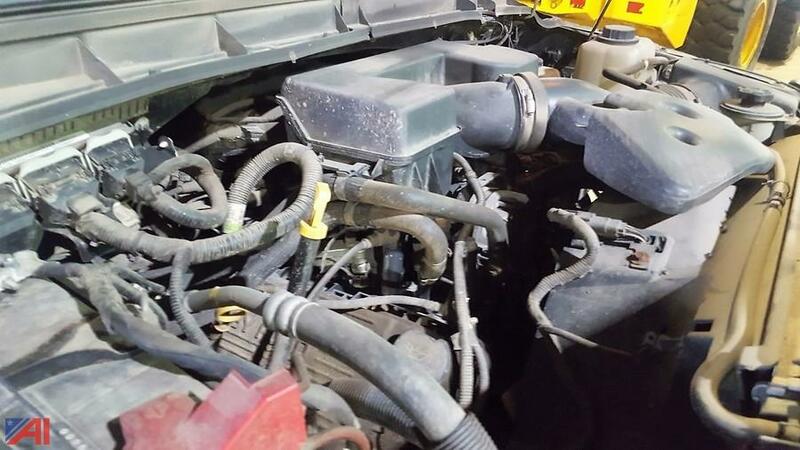 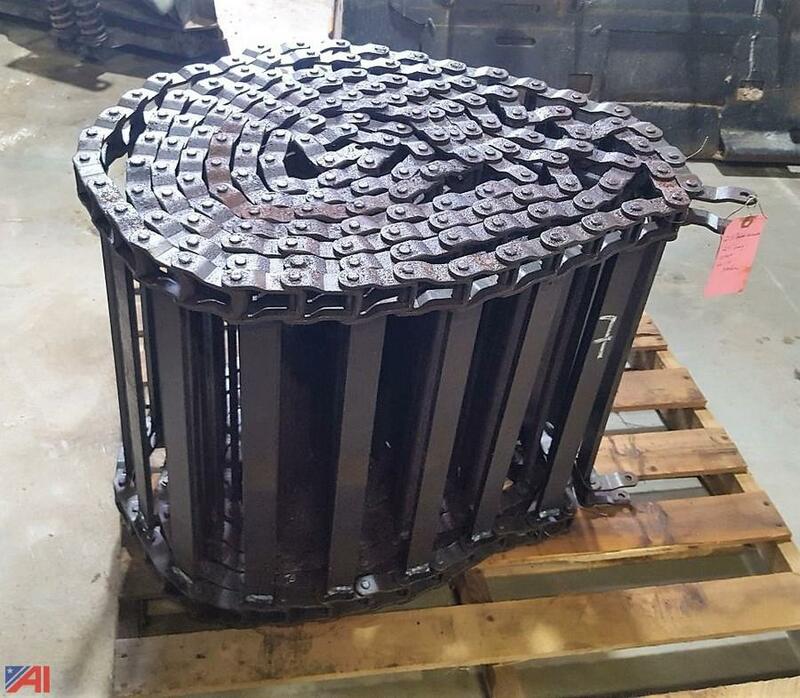 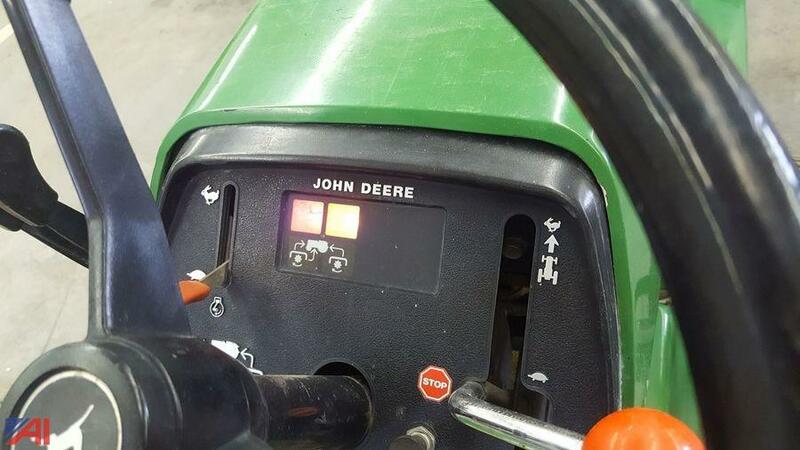 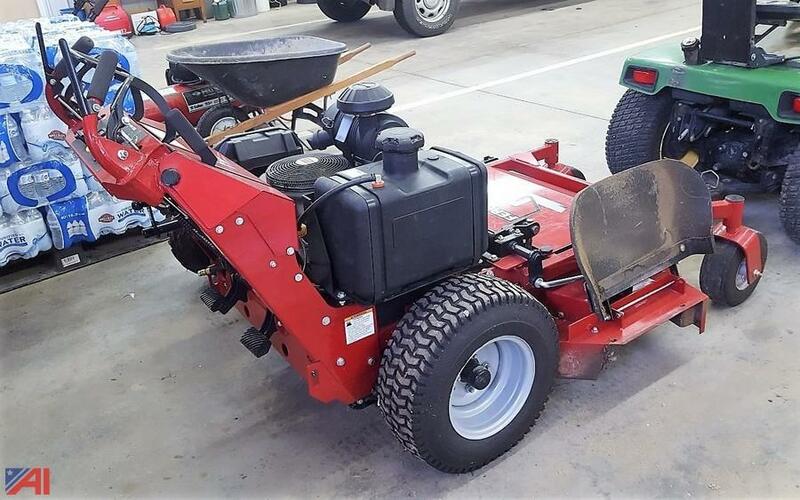 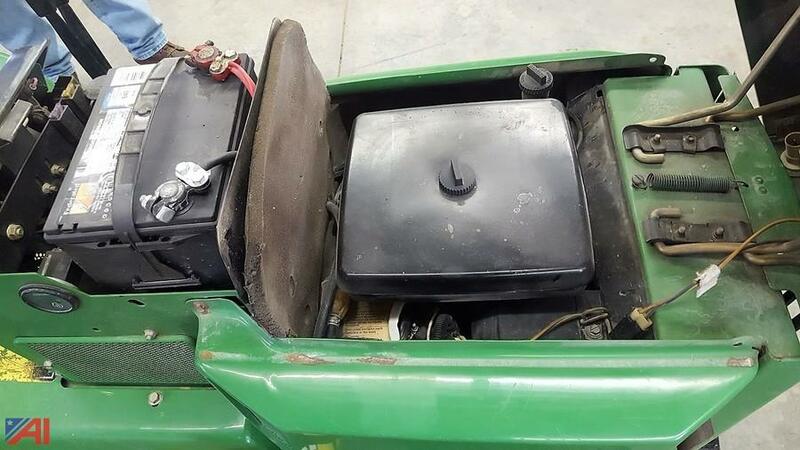 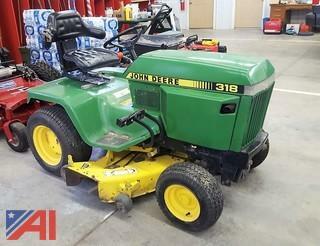 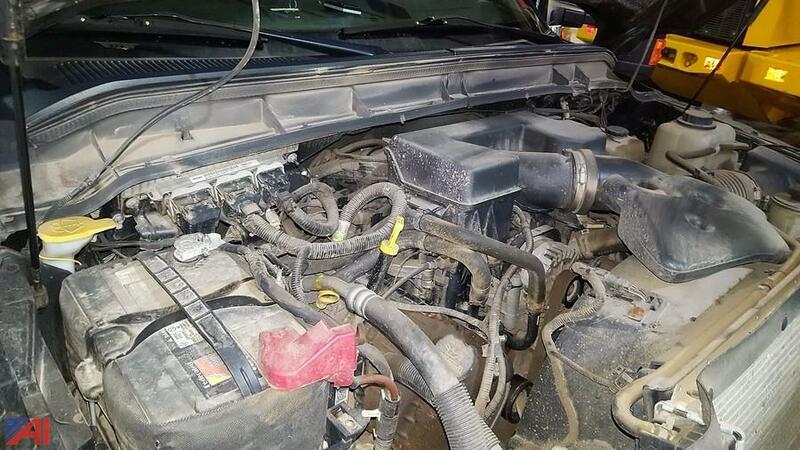 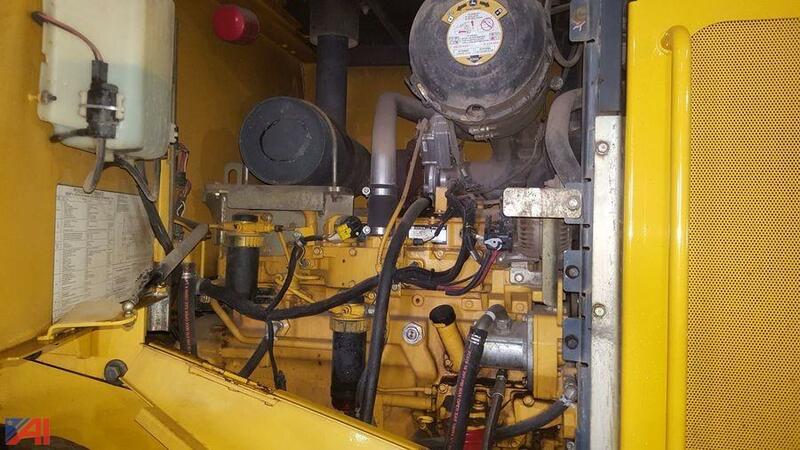 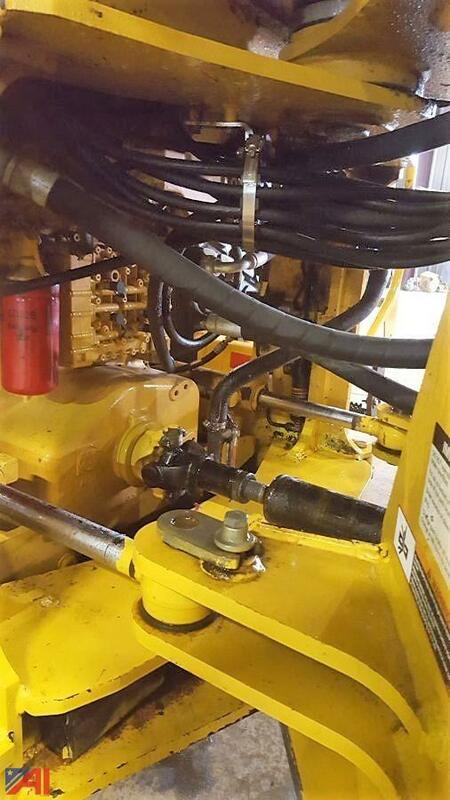 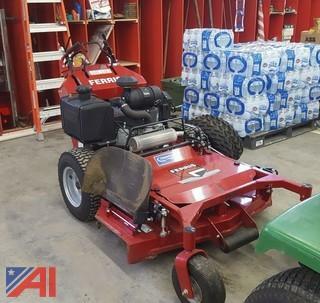 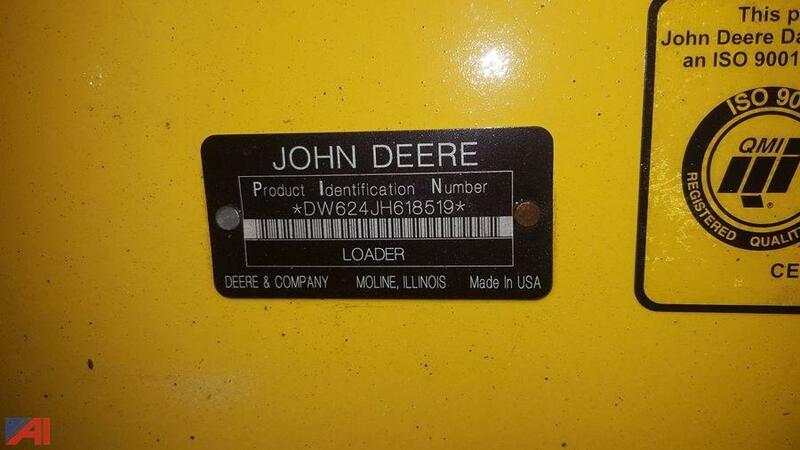 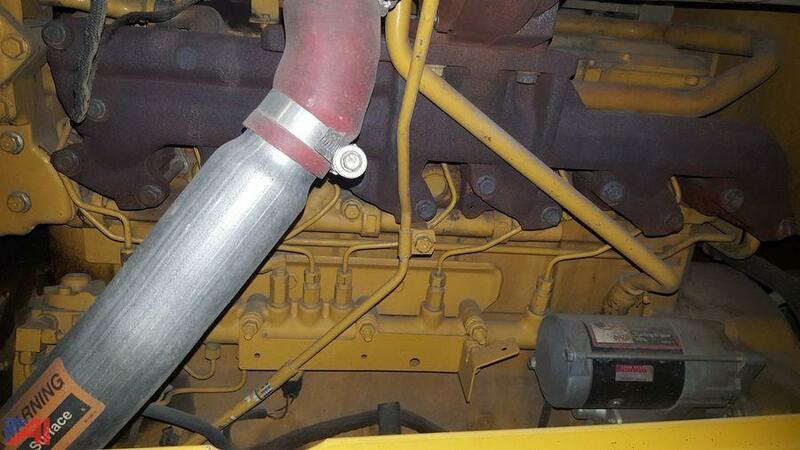 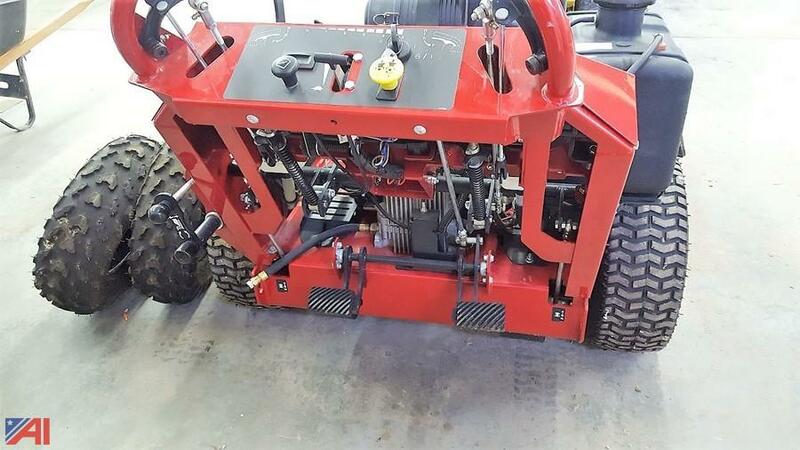 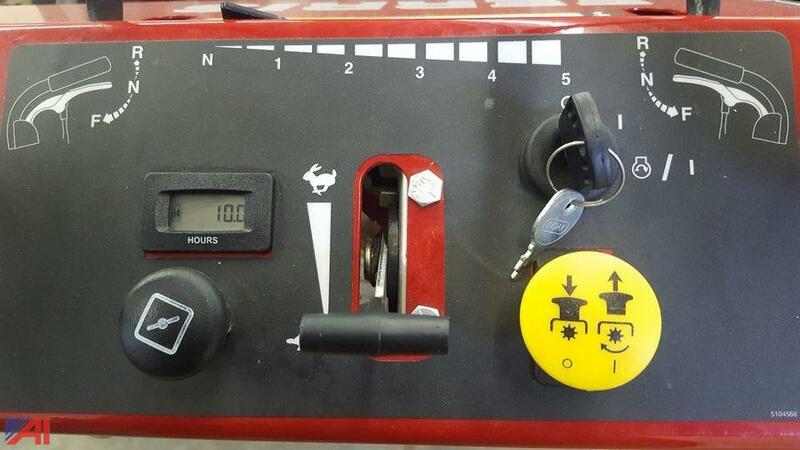 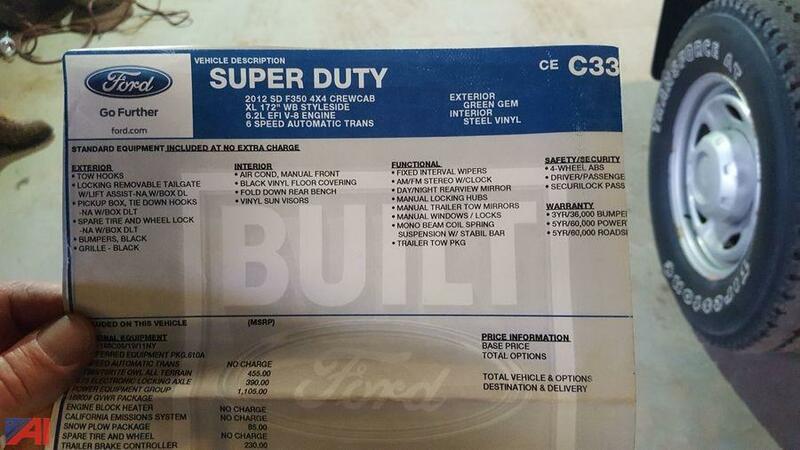 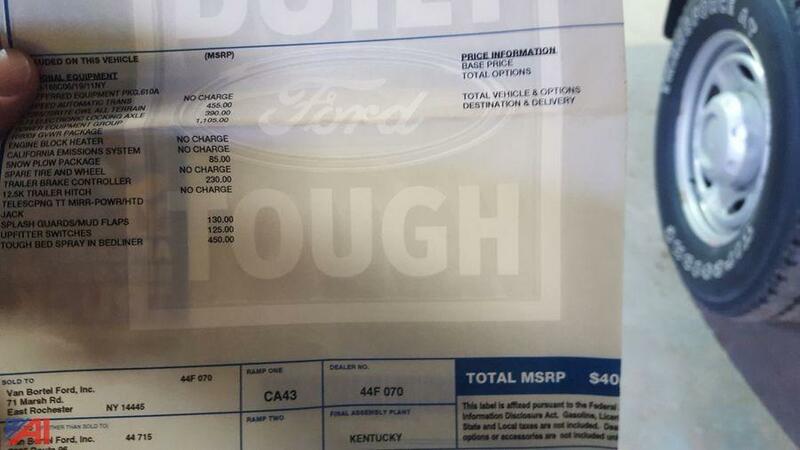 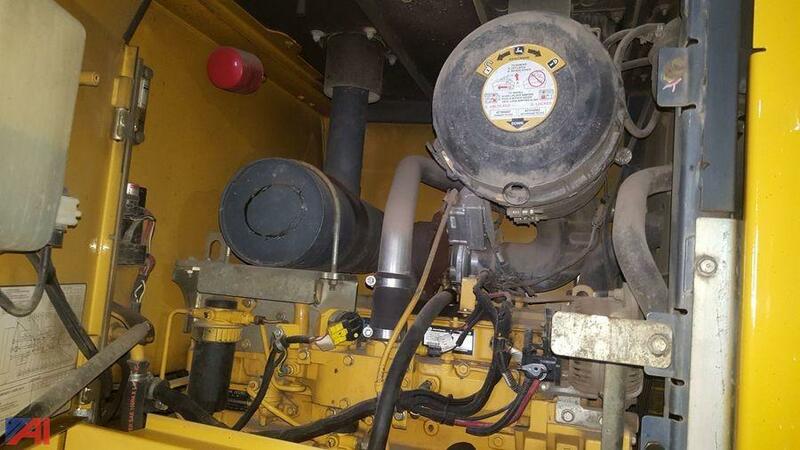 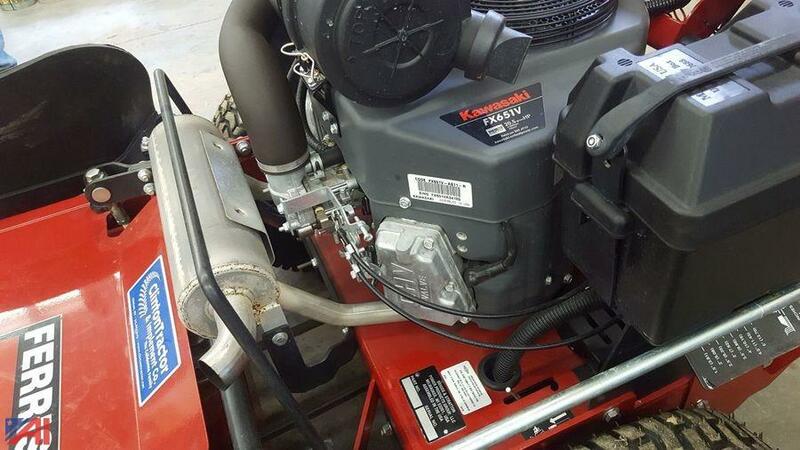 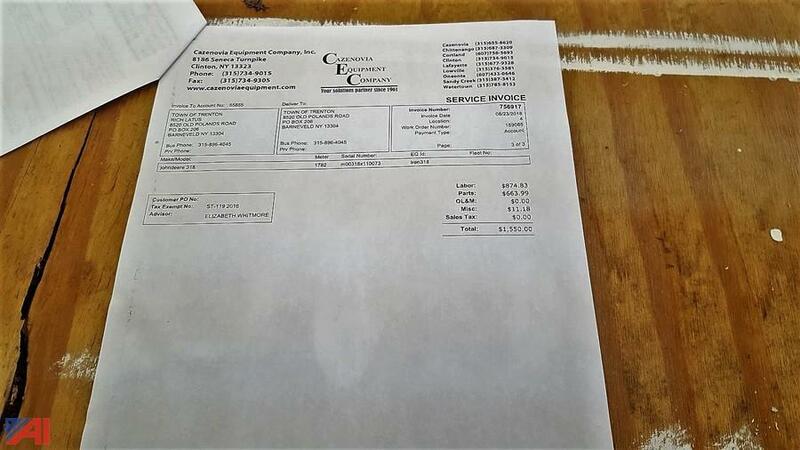 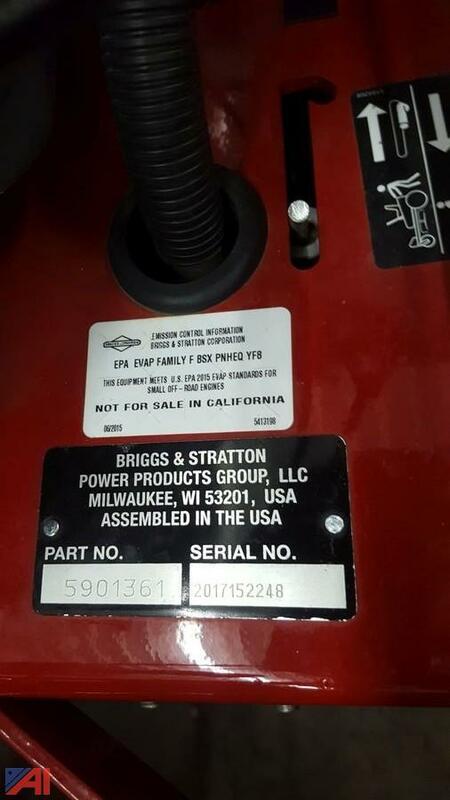 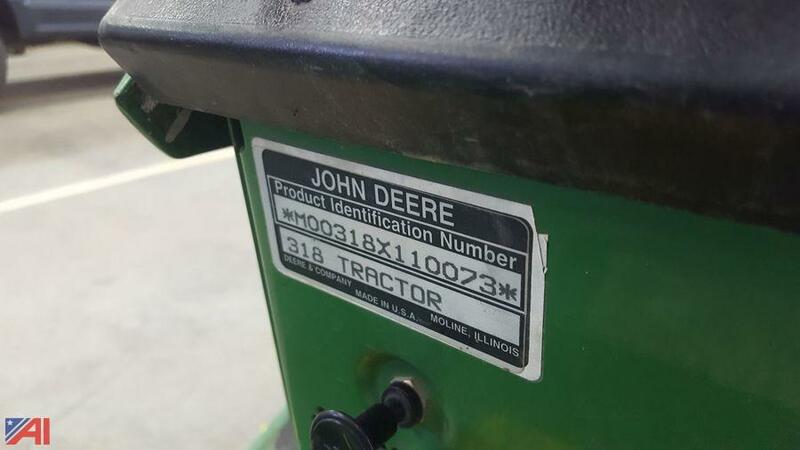 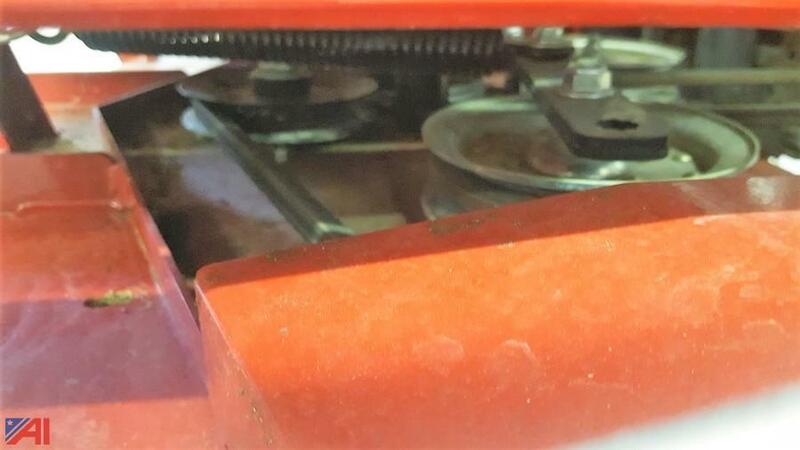 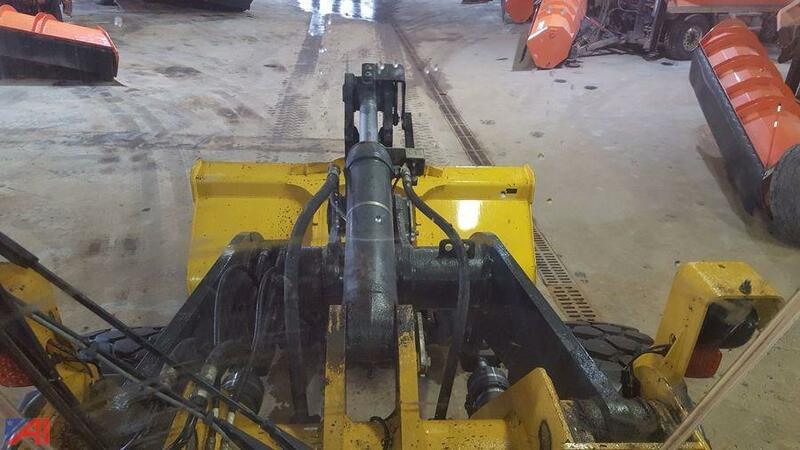 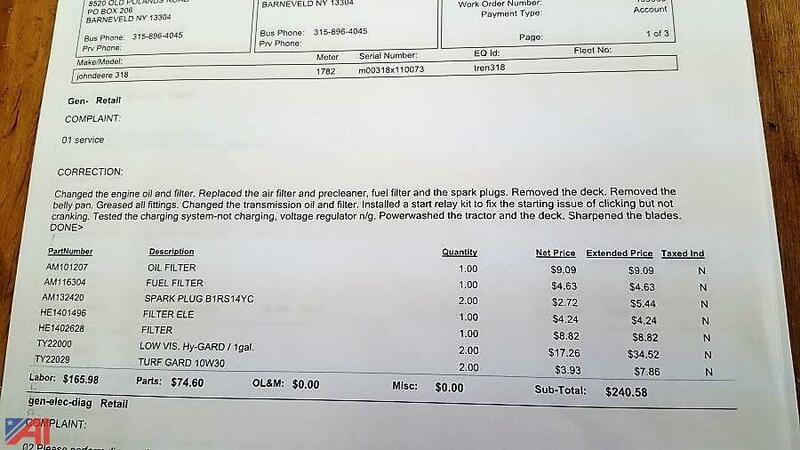 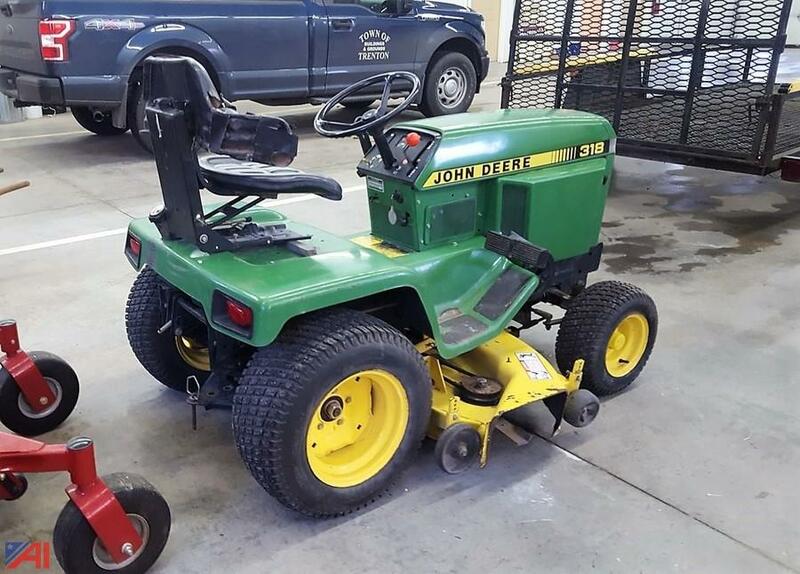 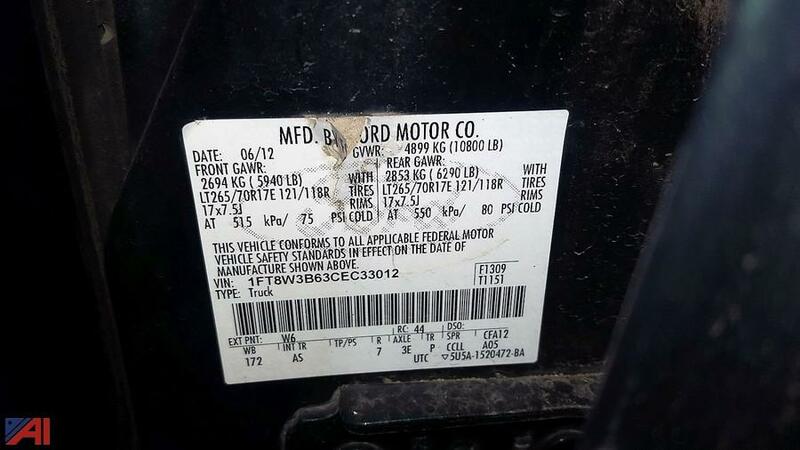 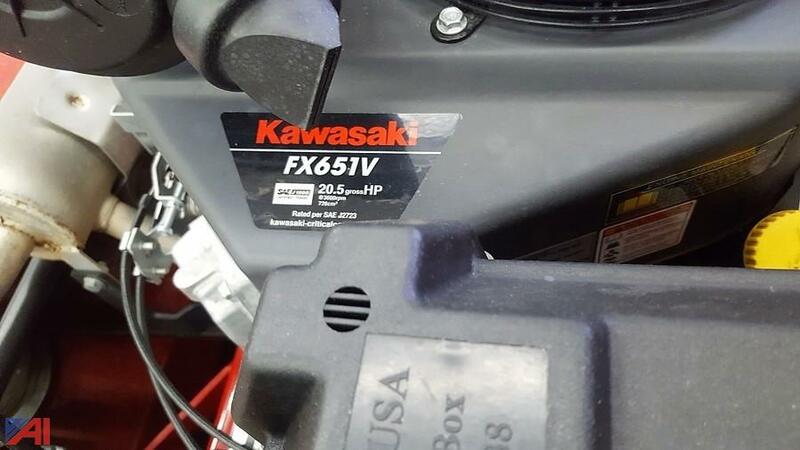 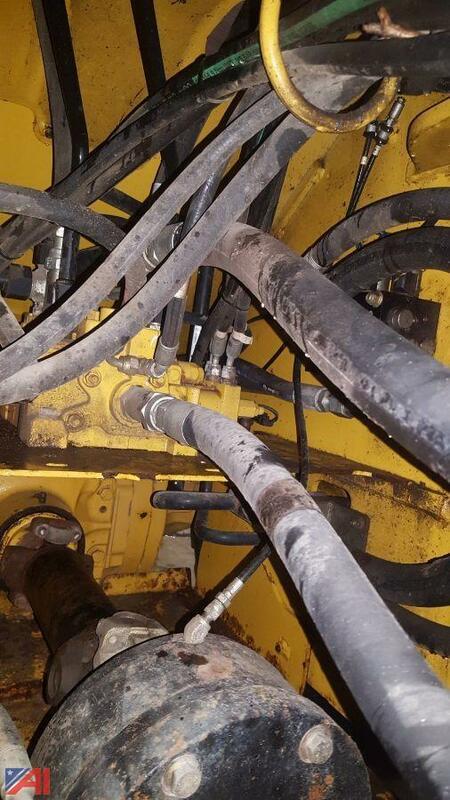 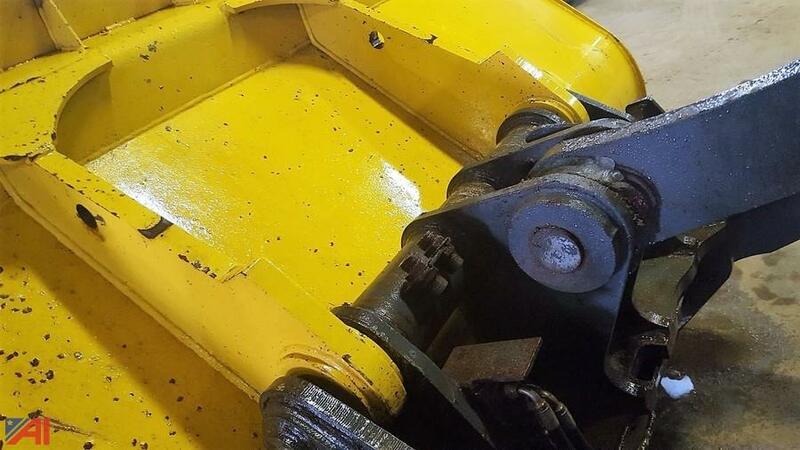 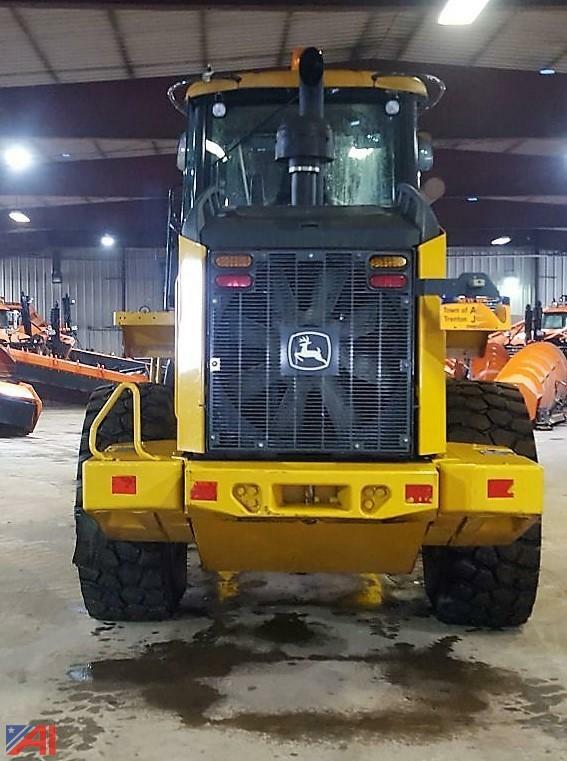 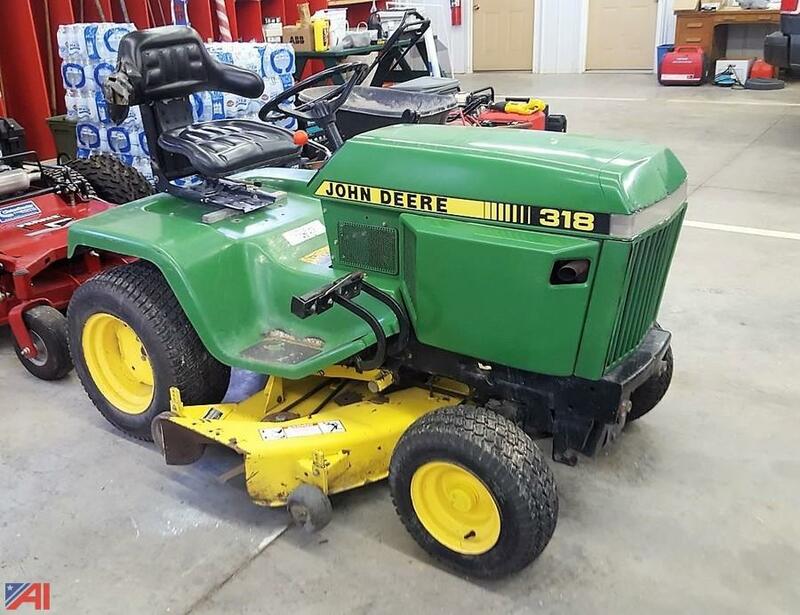 The seller spent $1550 for servicing of the tractor in August of 2018, please see photos of invoices. 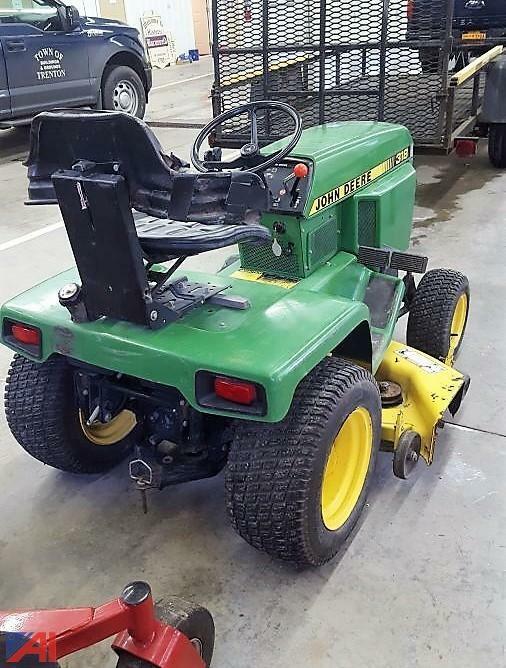 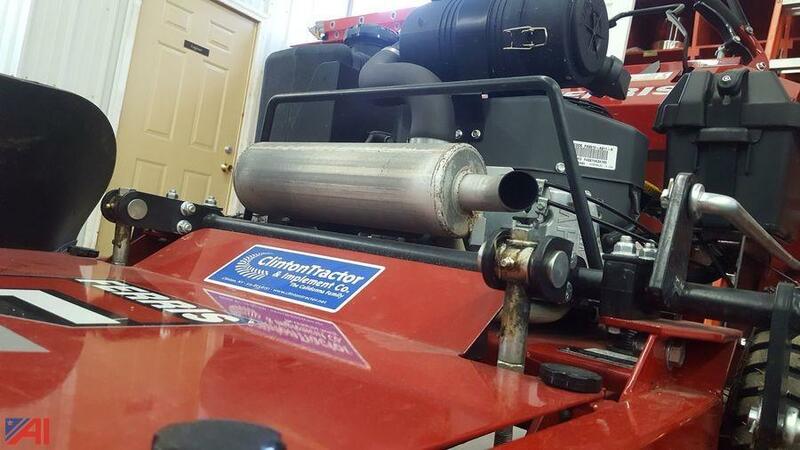 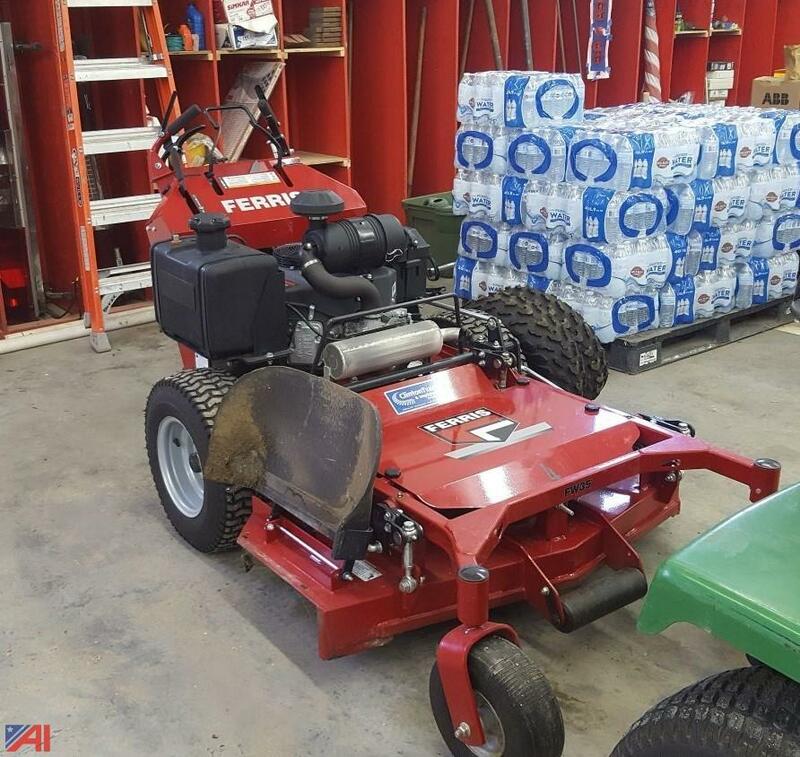 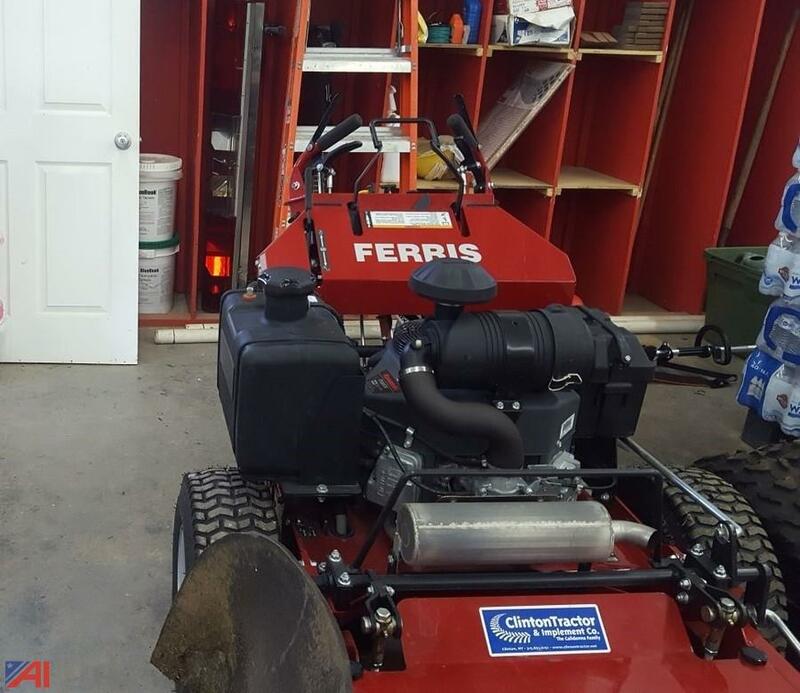 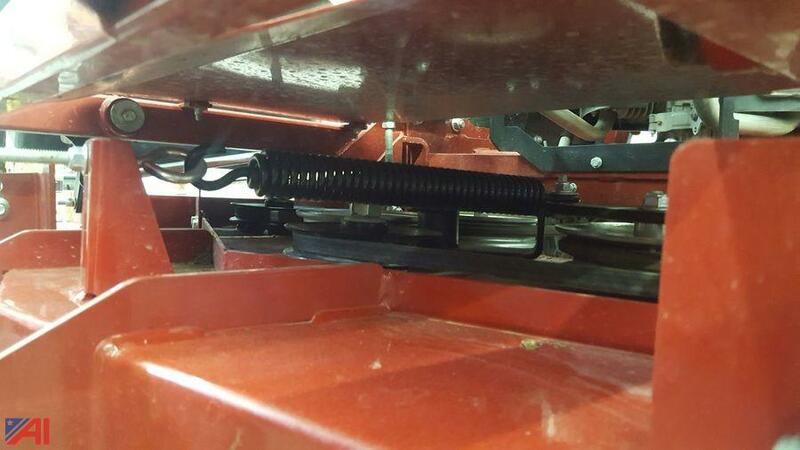 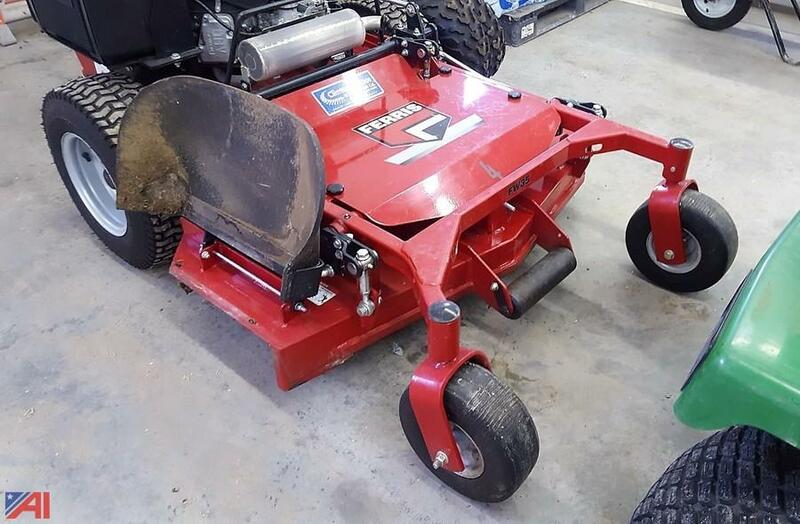 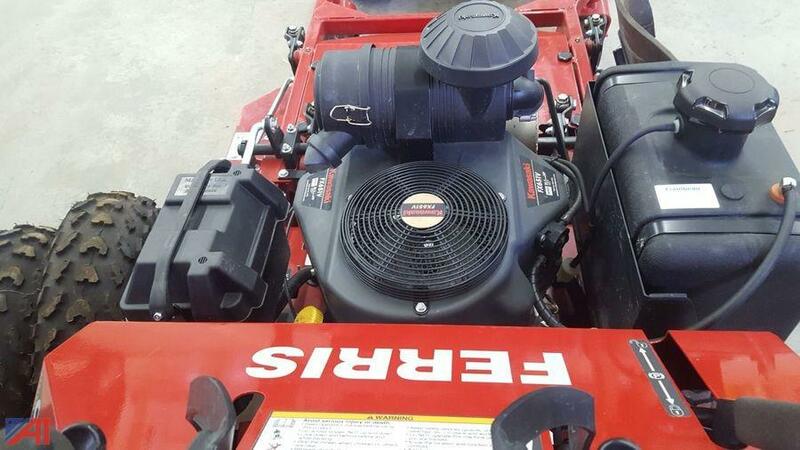 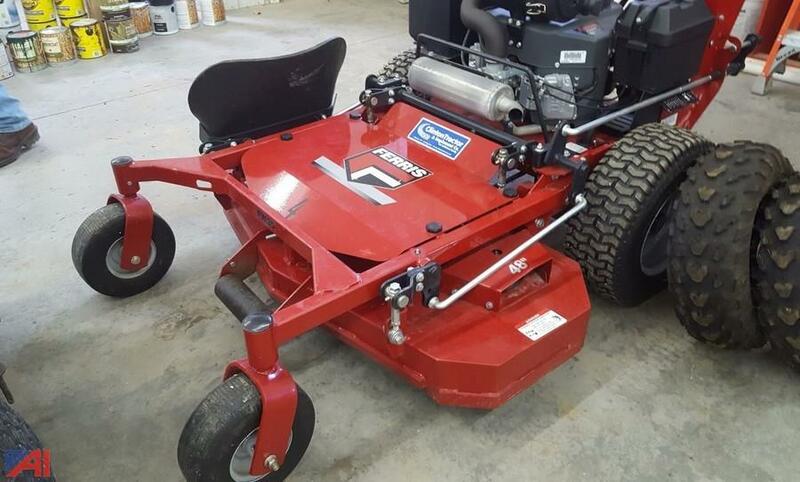 The mower starts, runs and operates and has been well maintained. 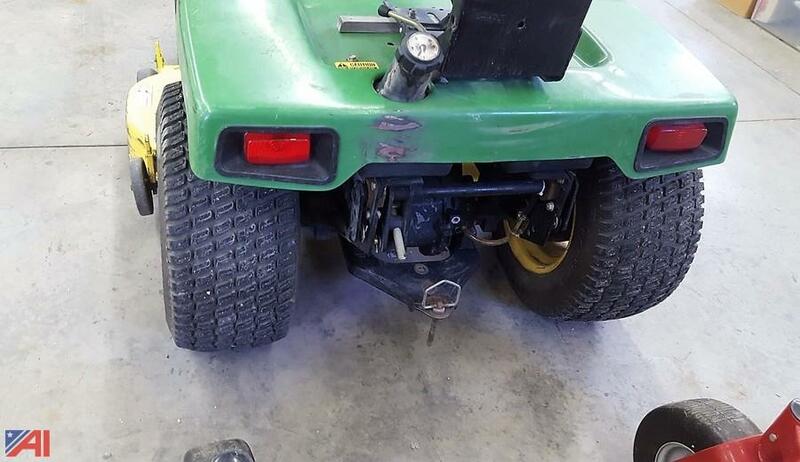 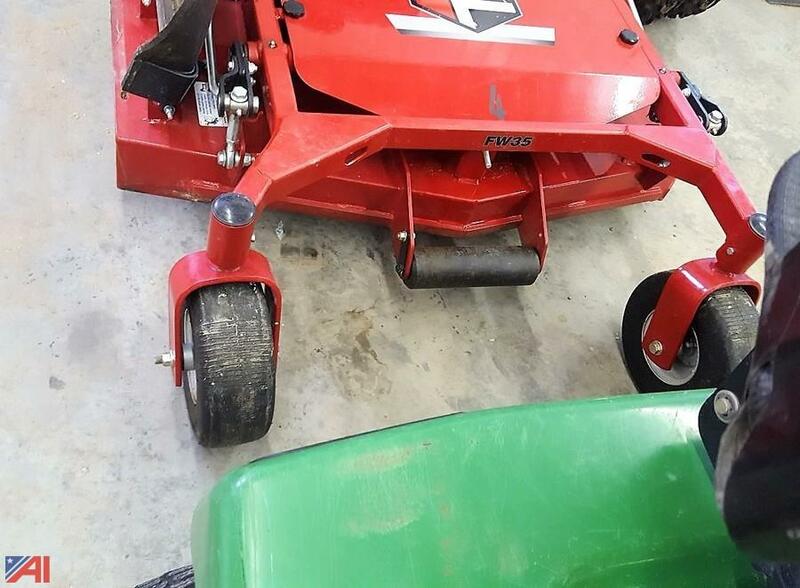 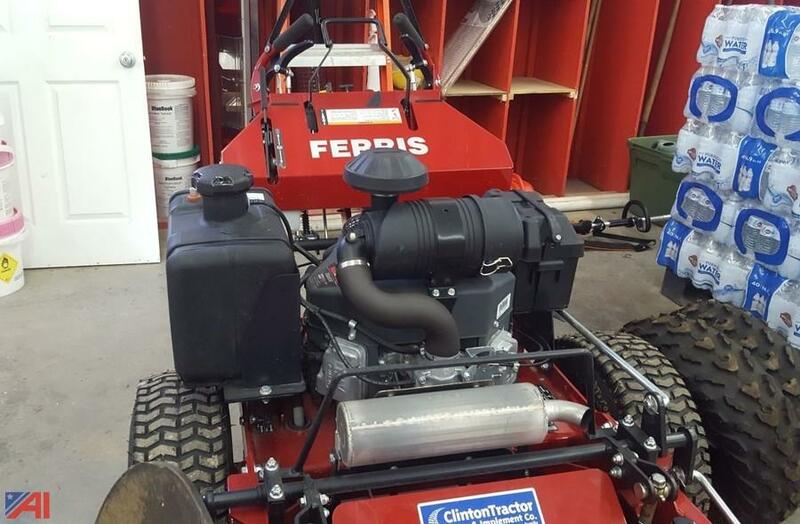 The mower starts, runs and operates. 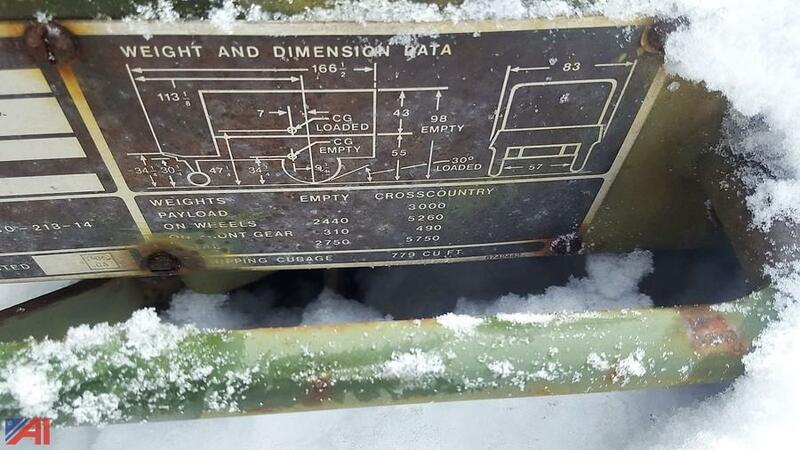 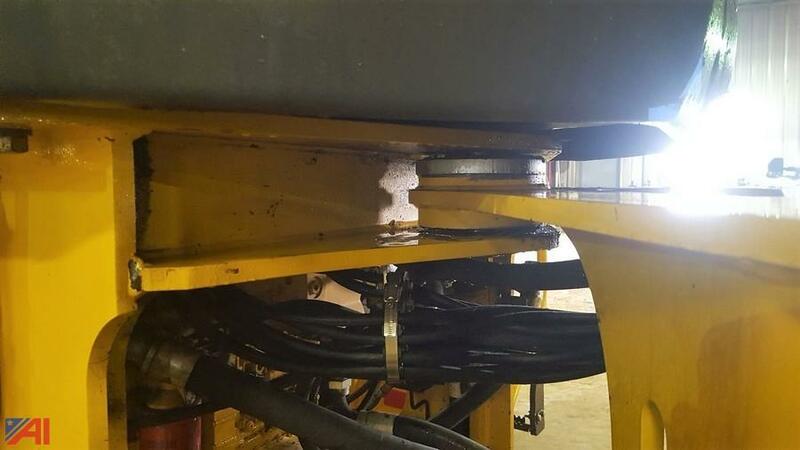 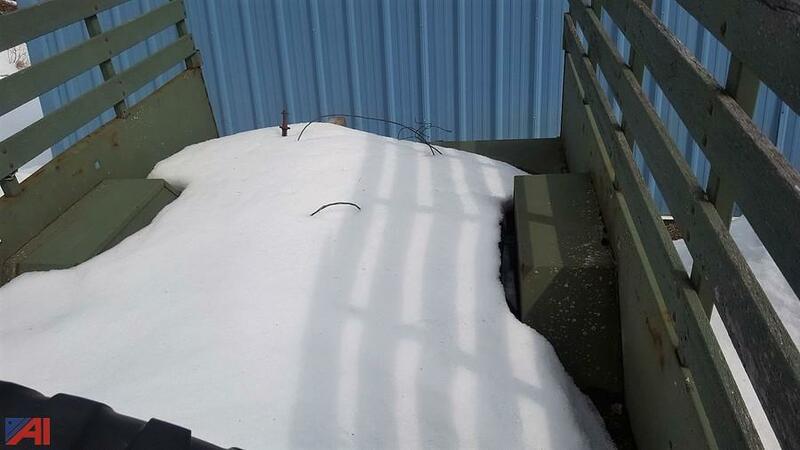 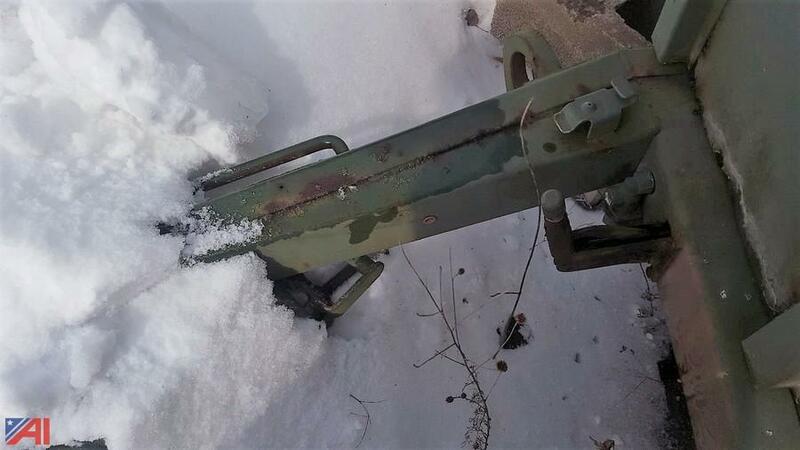 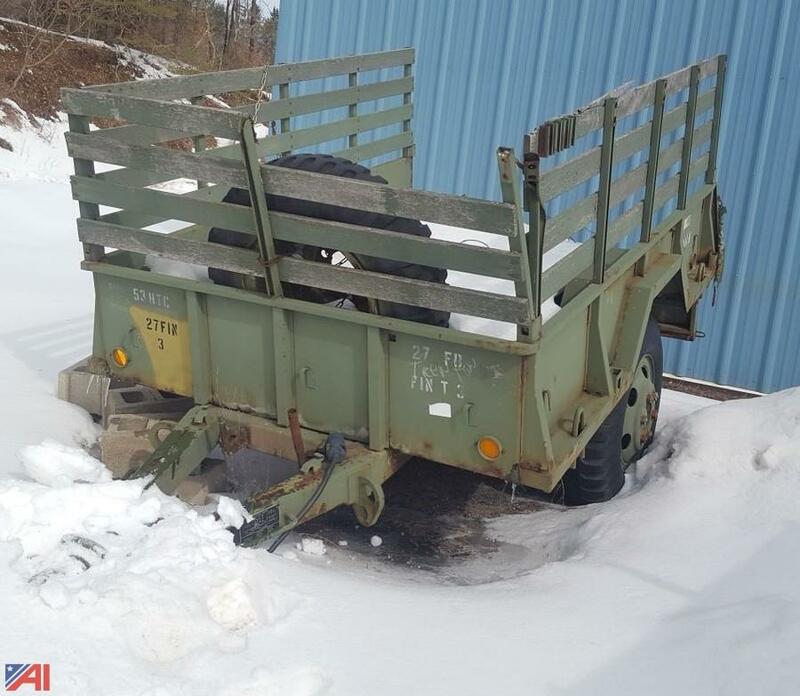 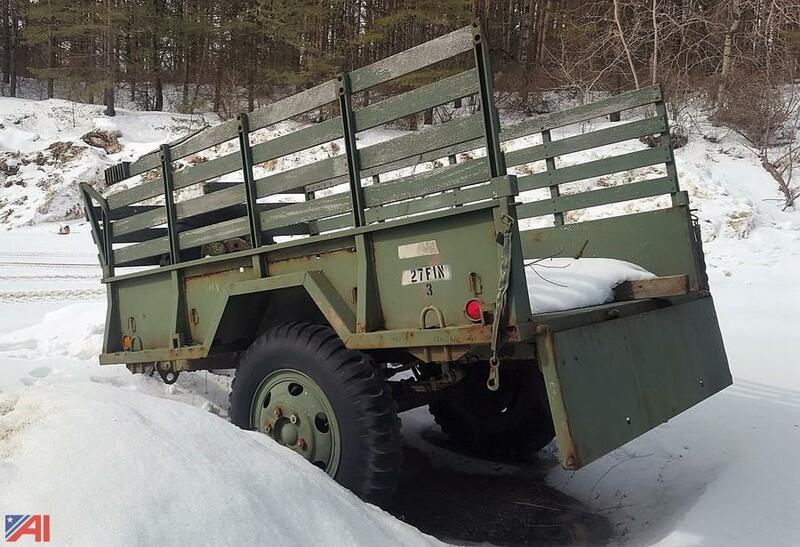 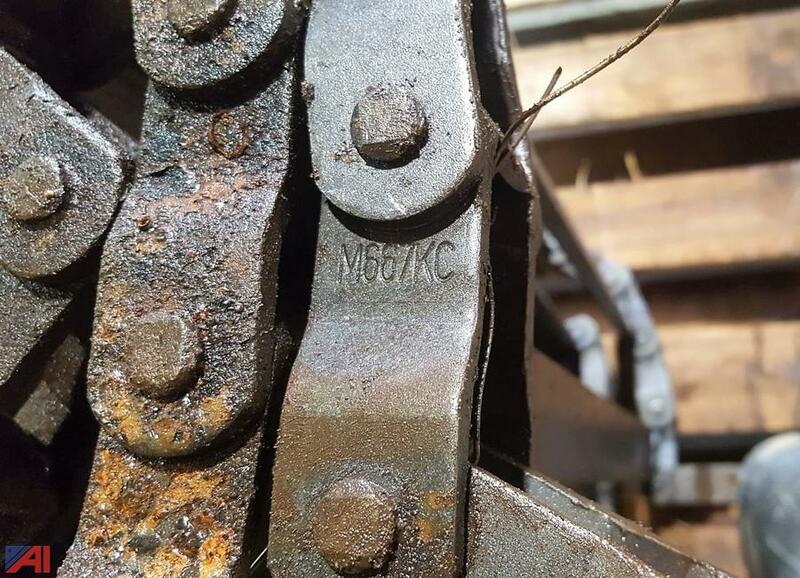 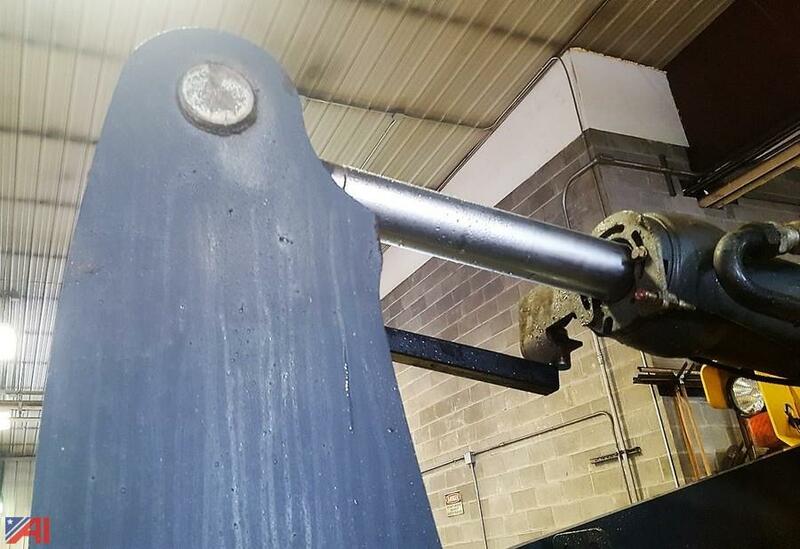 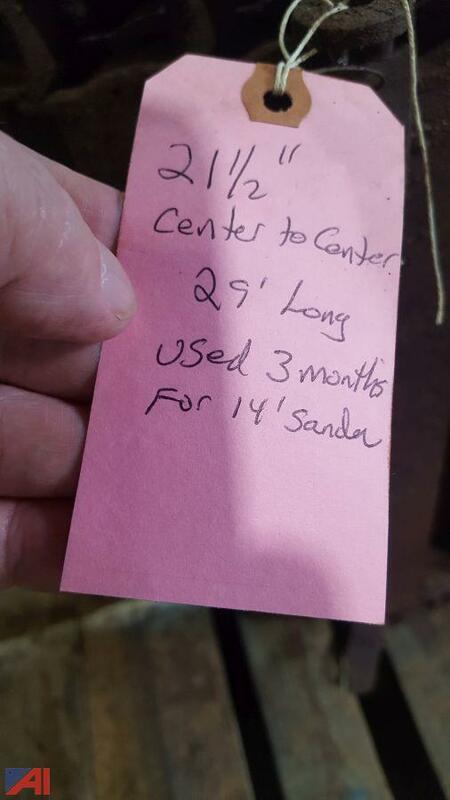 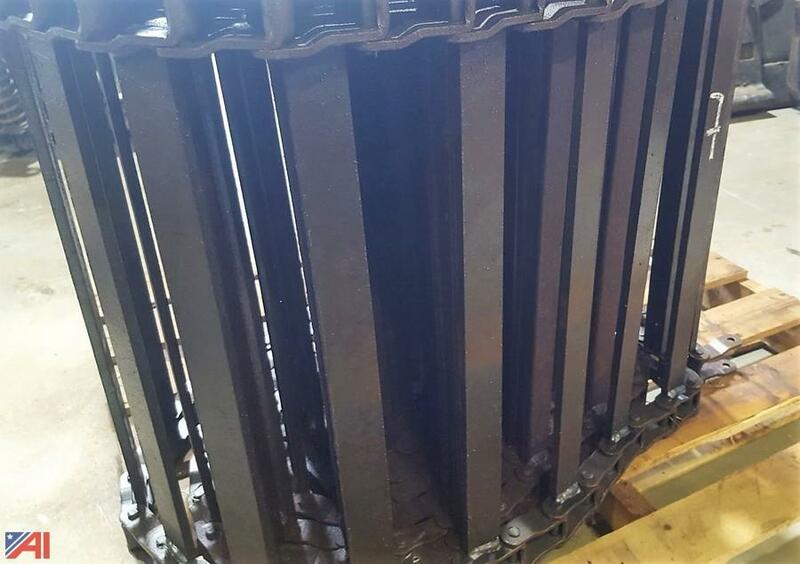 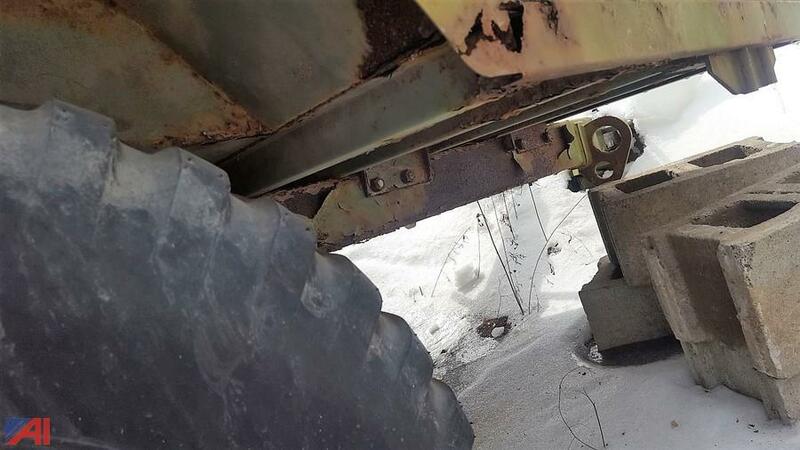 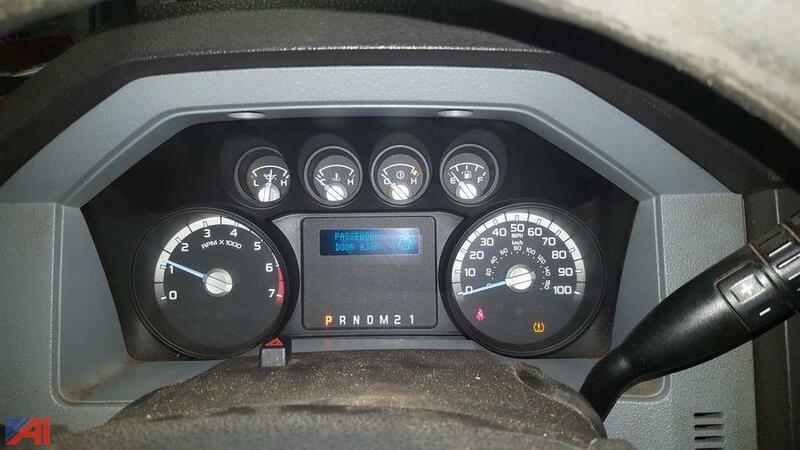 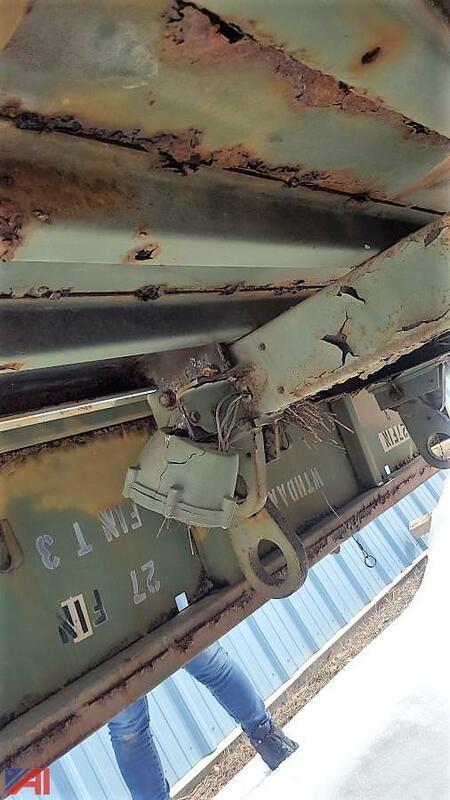 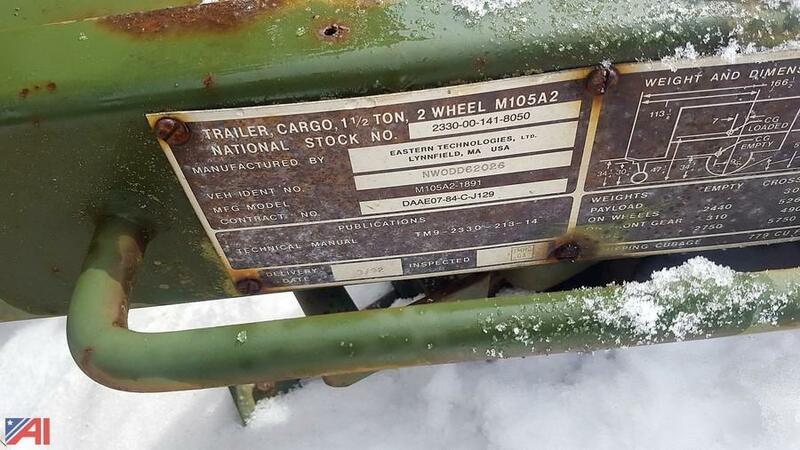 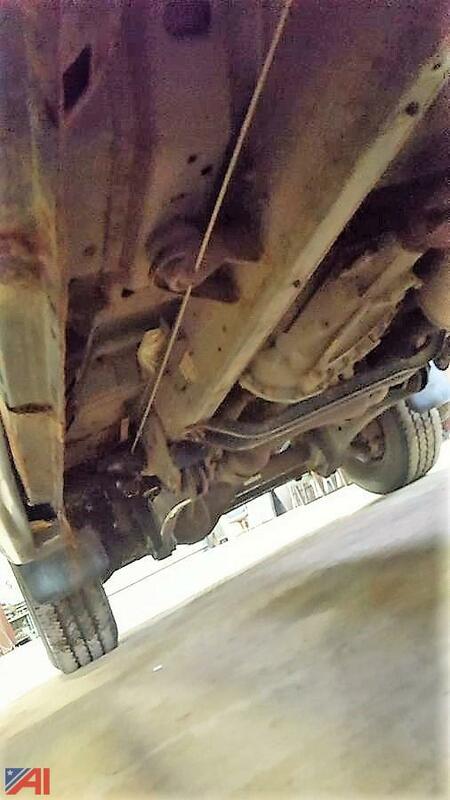 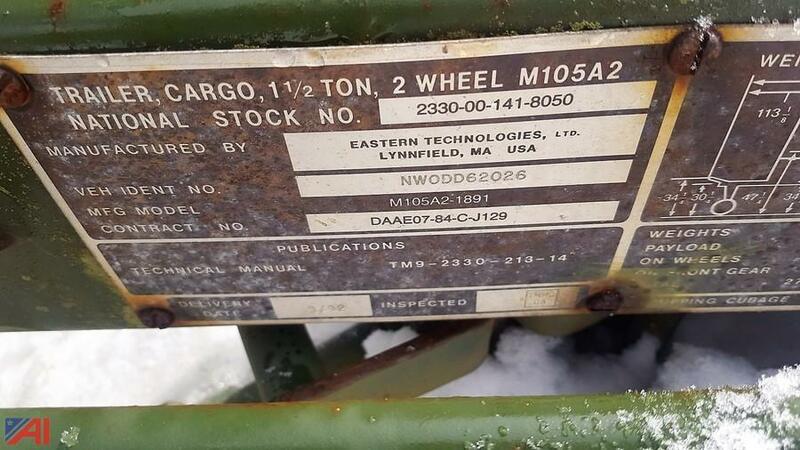 Mechanical Notes: The seller stated that they have never used the trailer and has been sitting for several years. Interested bidders are encouraged to inspect! Body Notes: It is metal with wood sides. 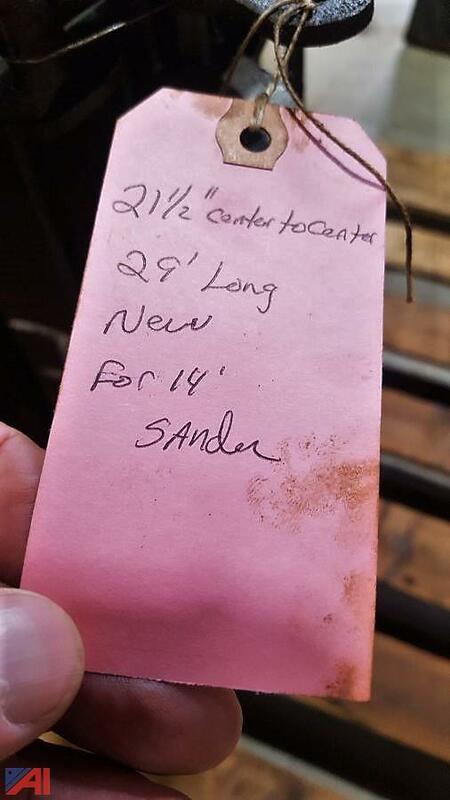 The bed measures: 9' 4" long and 74" wide. 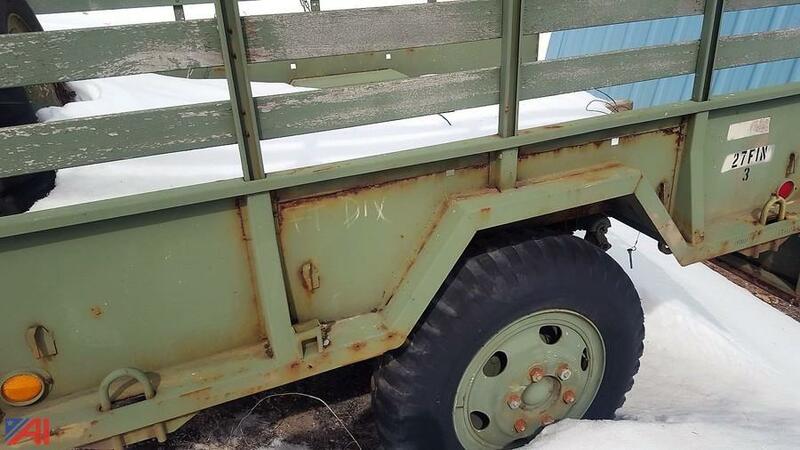 It has a pintle hitch. 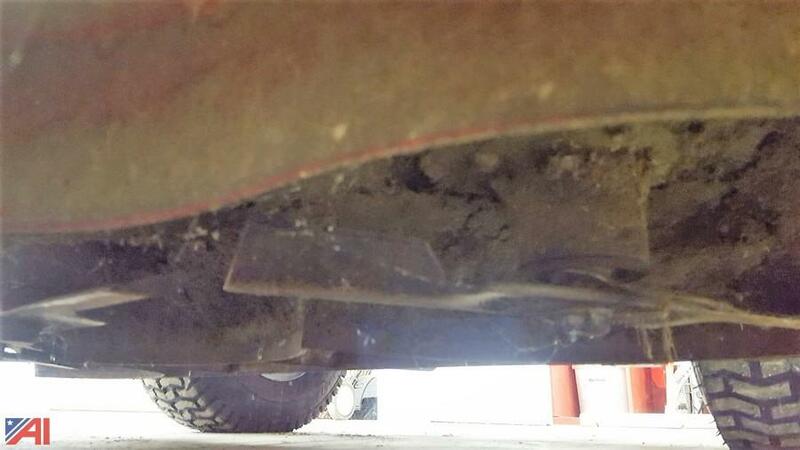 There are some rusted through spots. 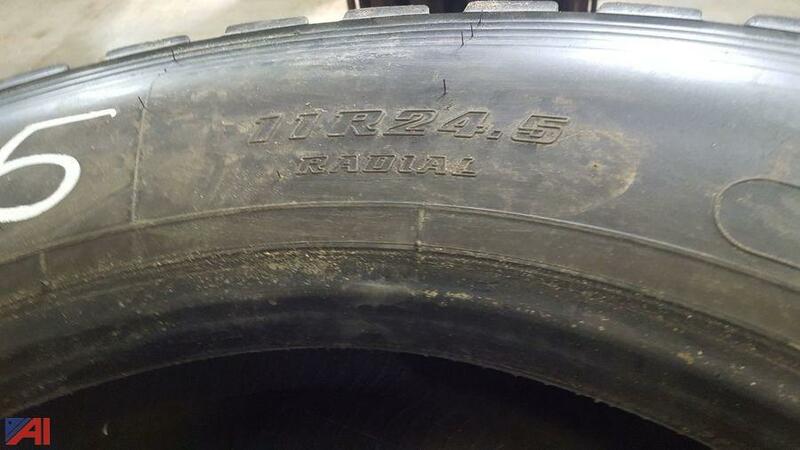 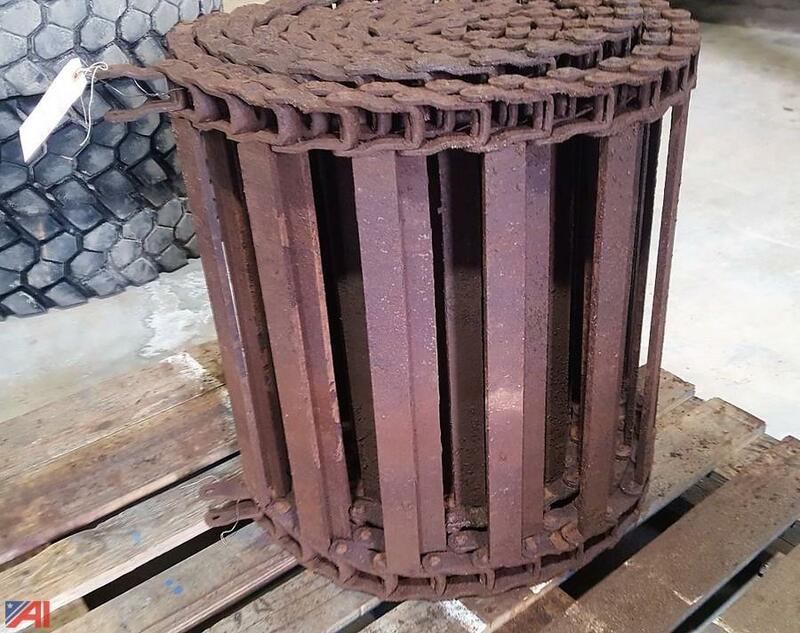 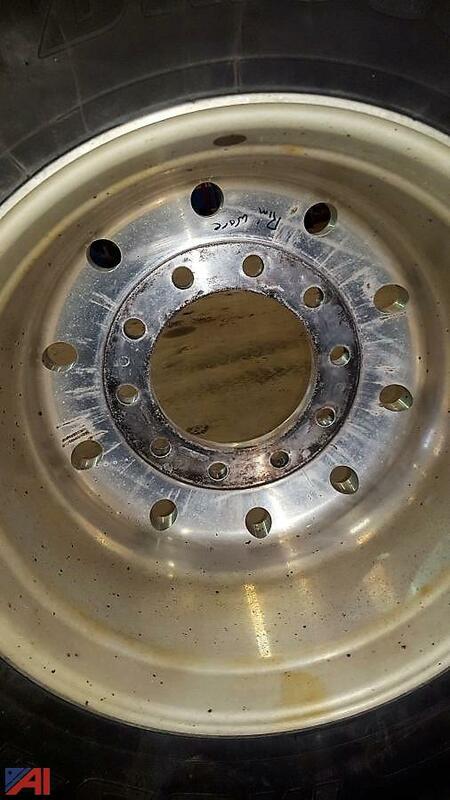 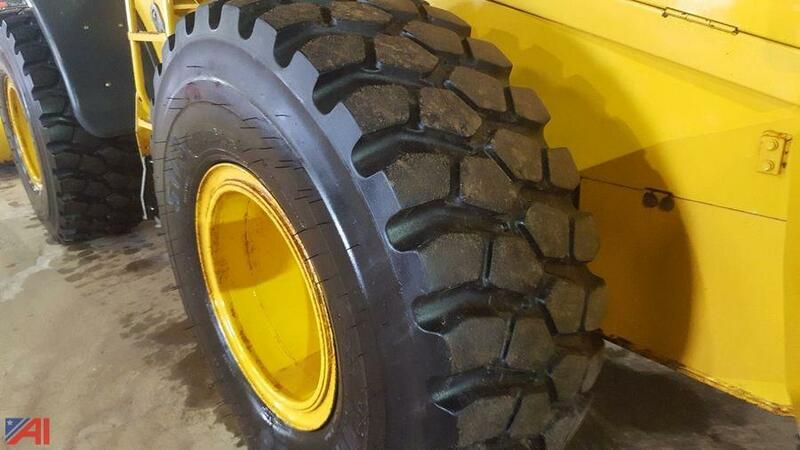 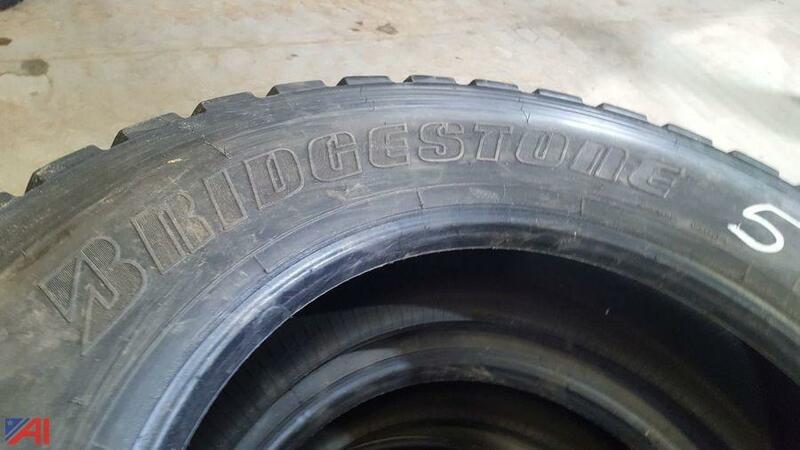 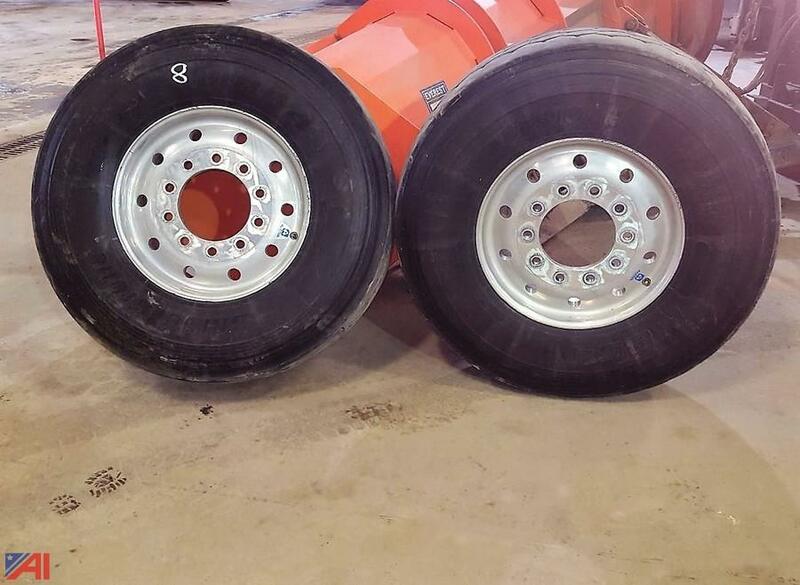 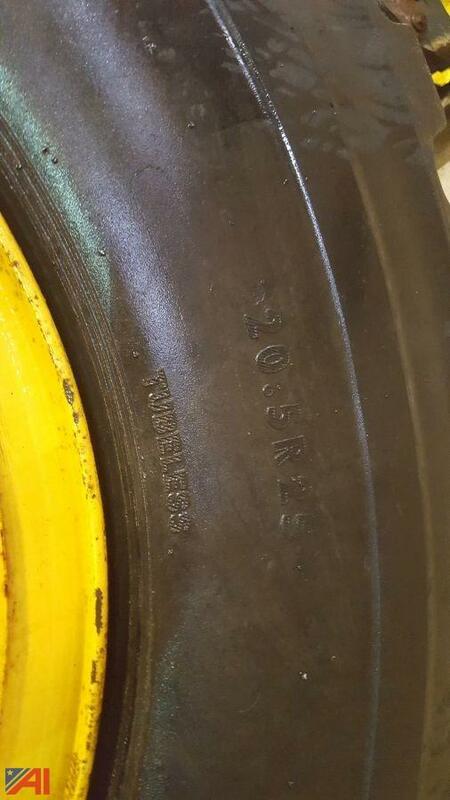 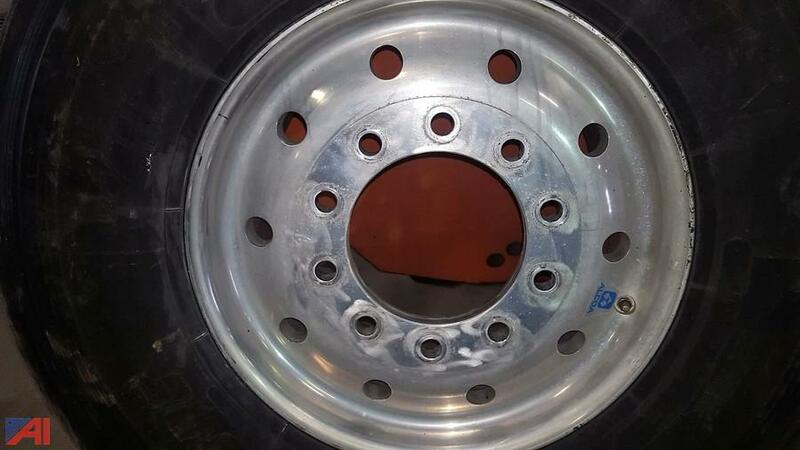 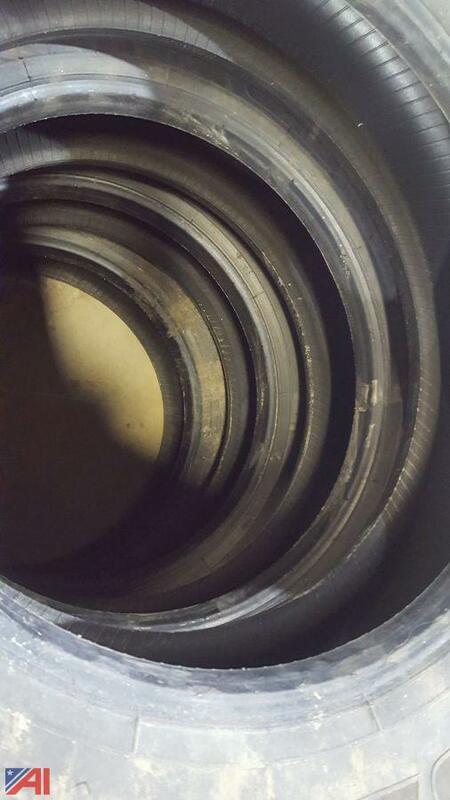 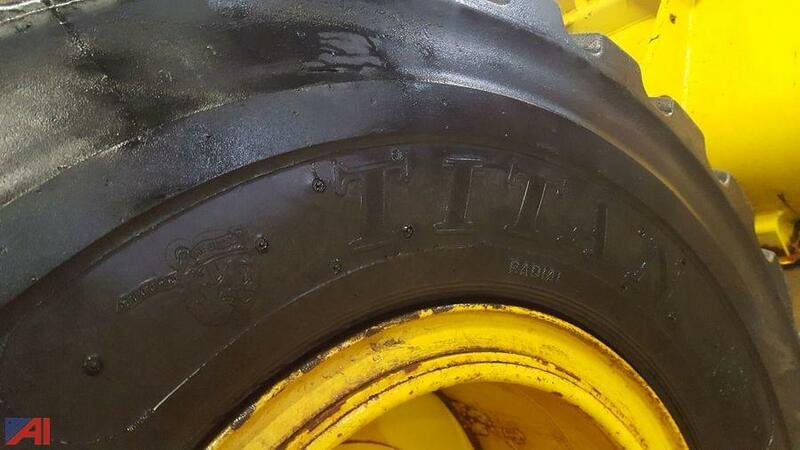 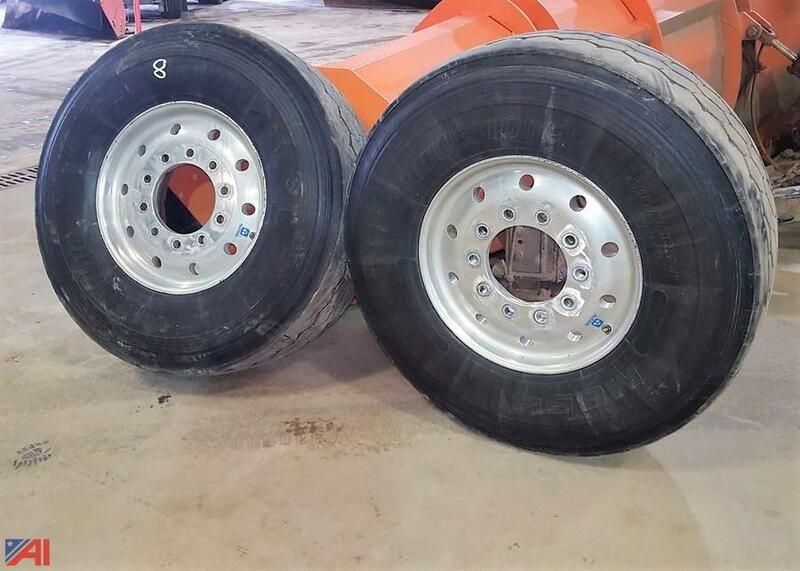 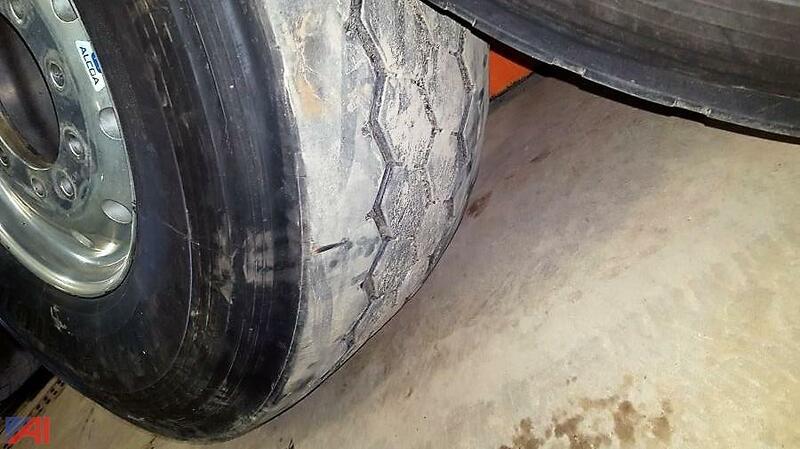 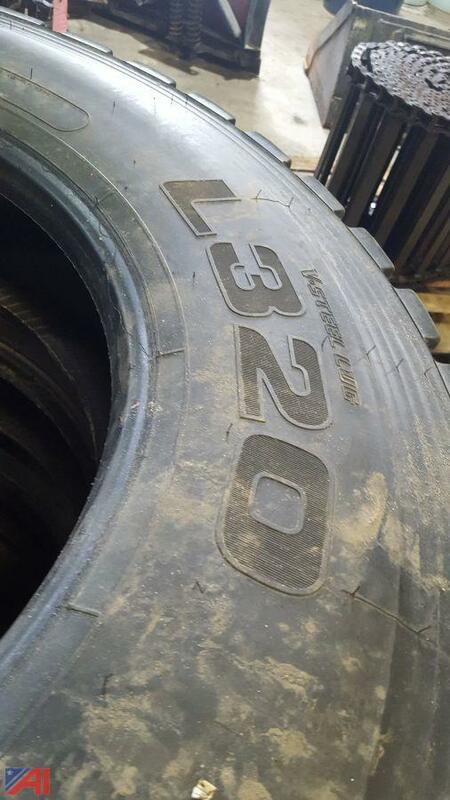 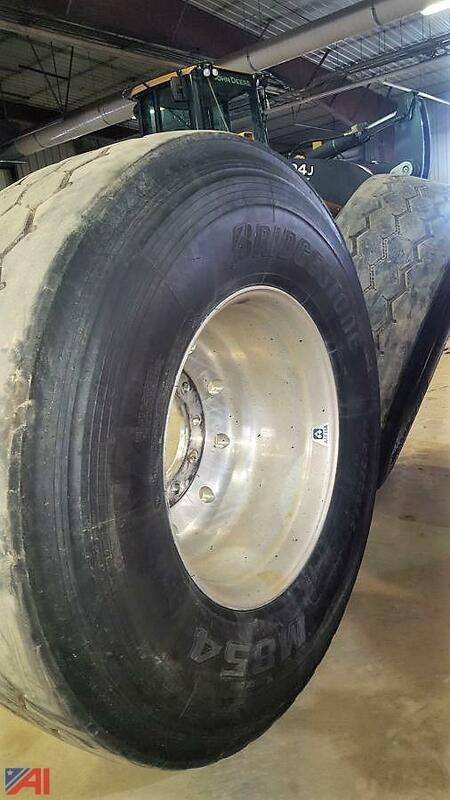 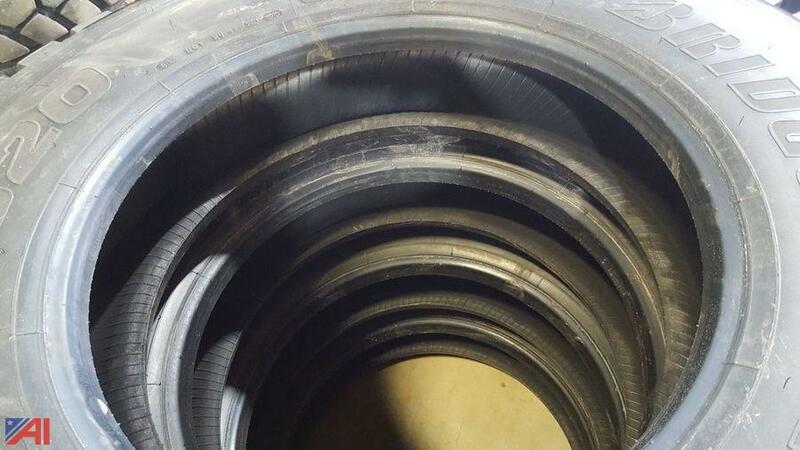 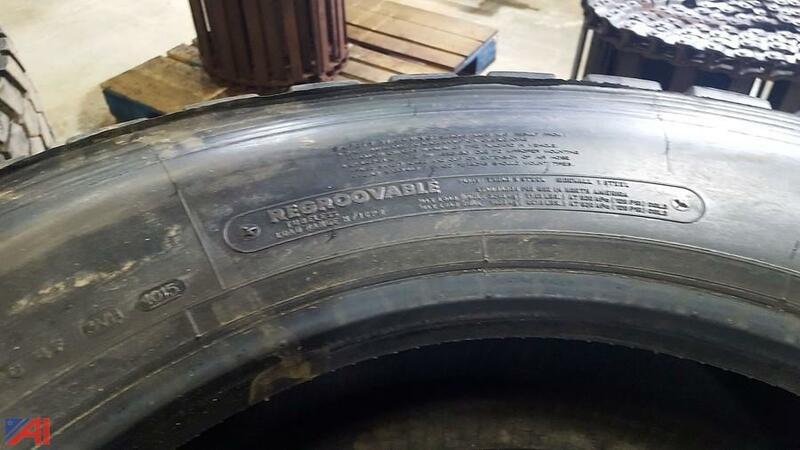 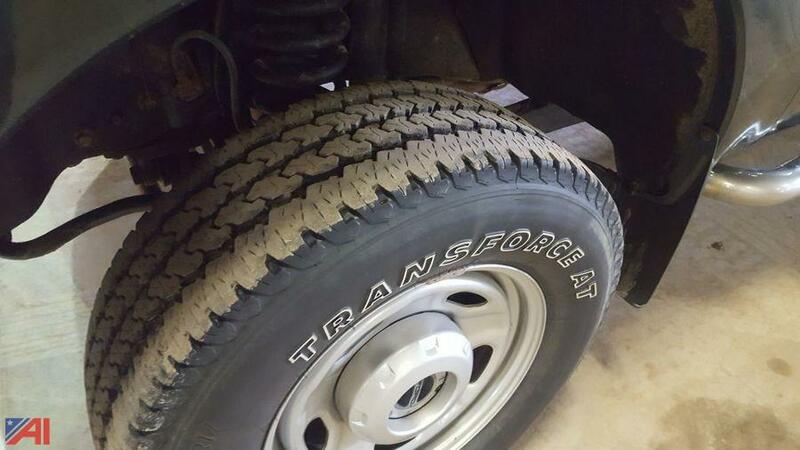 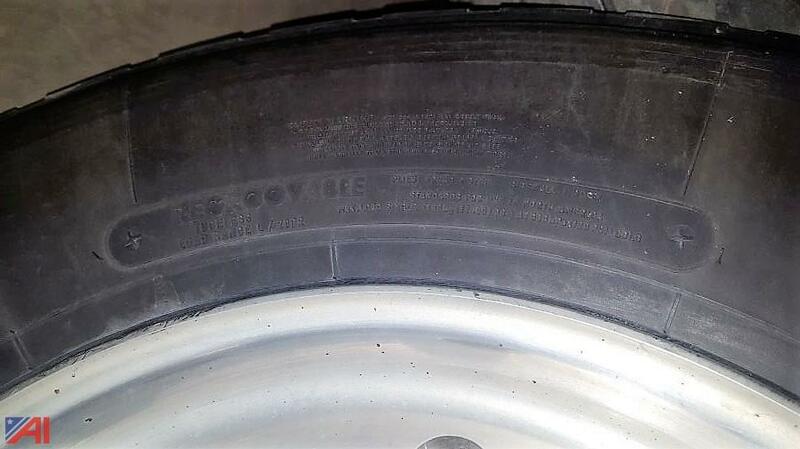 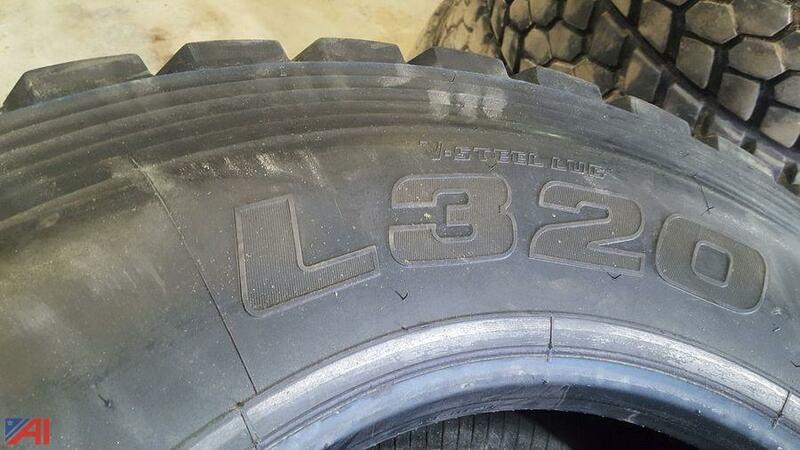 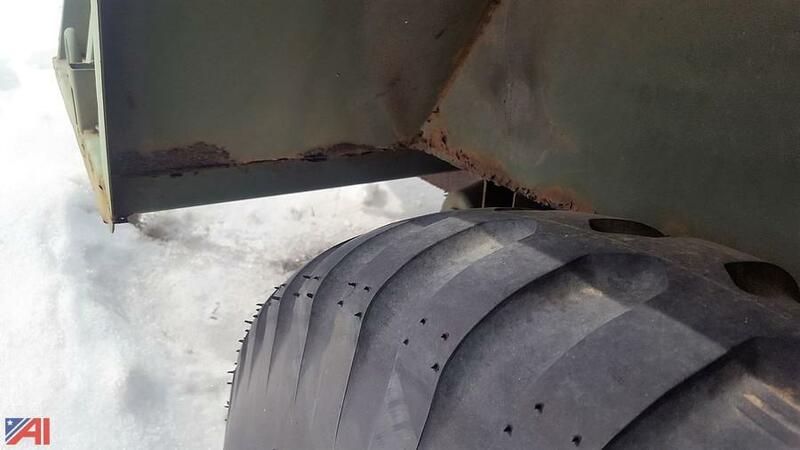 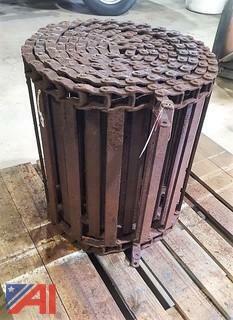 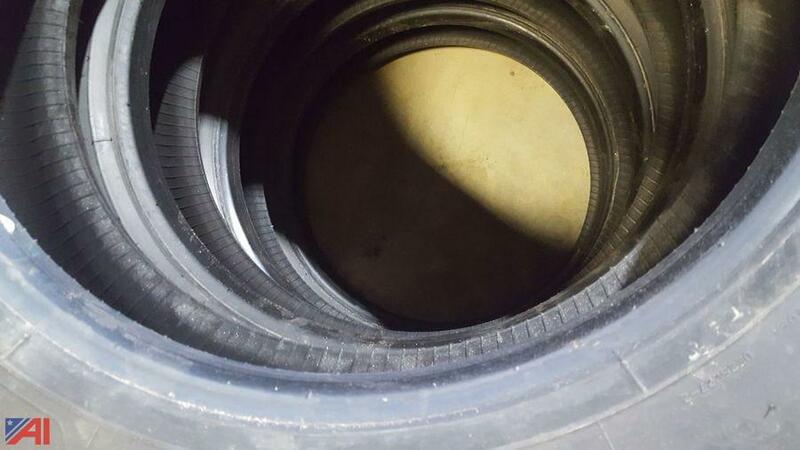 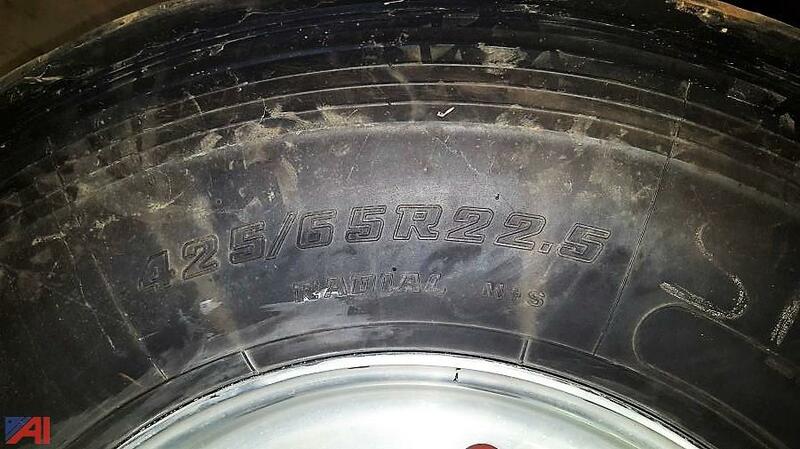 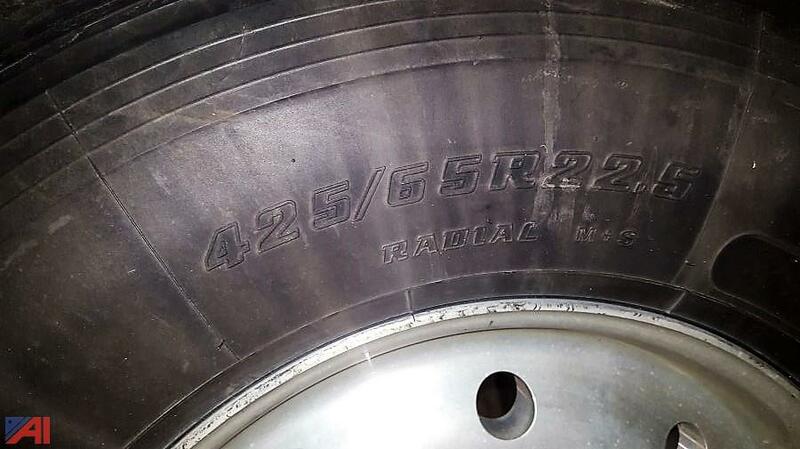 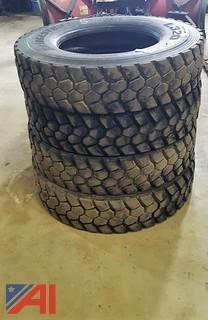 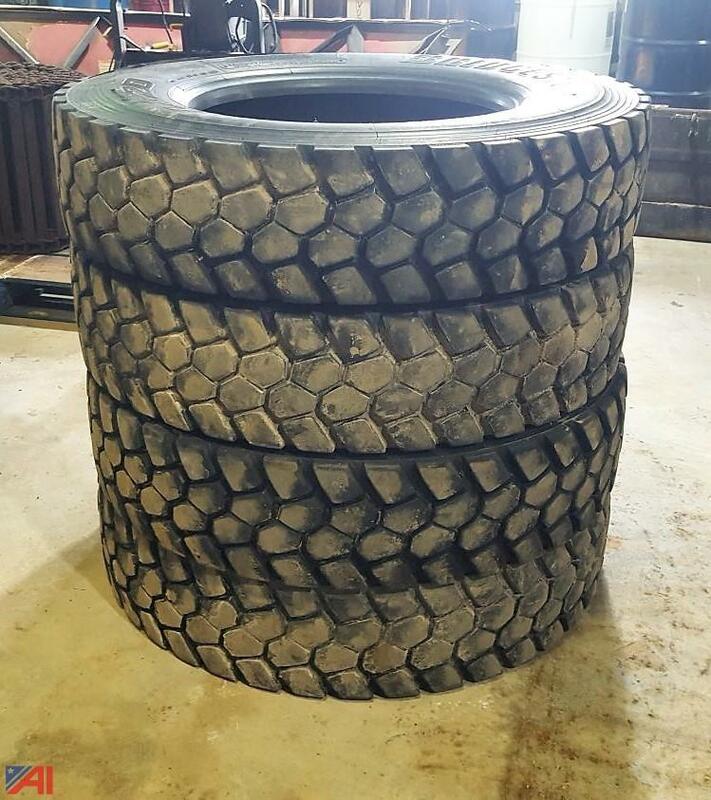 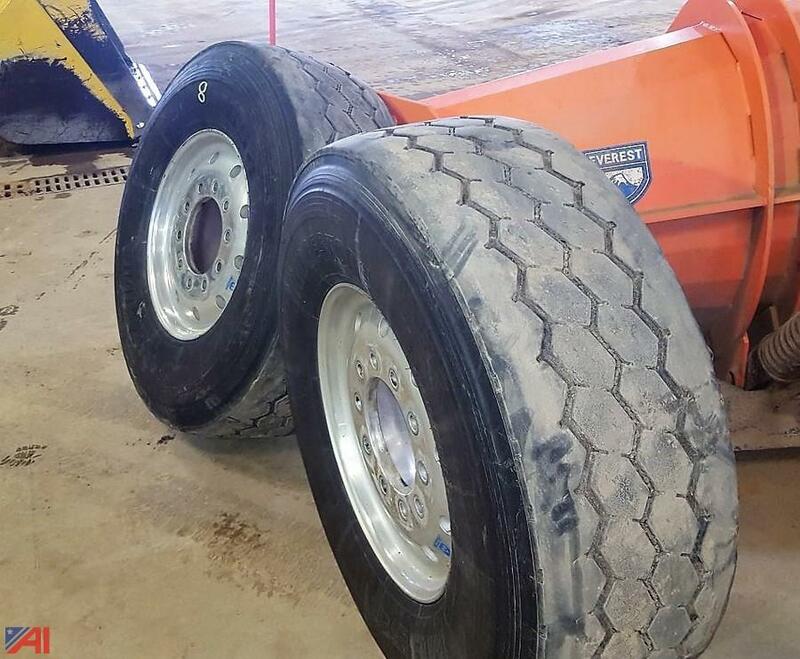 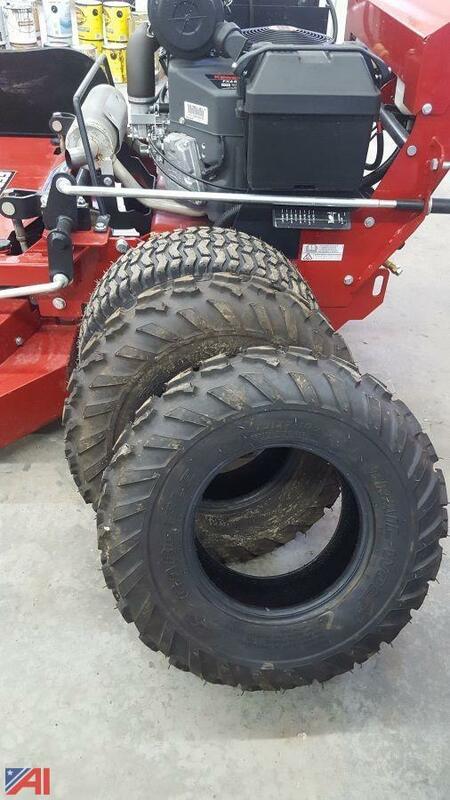 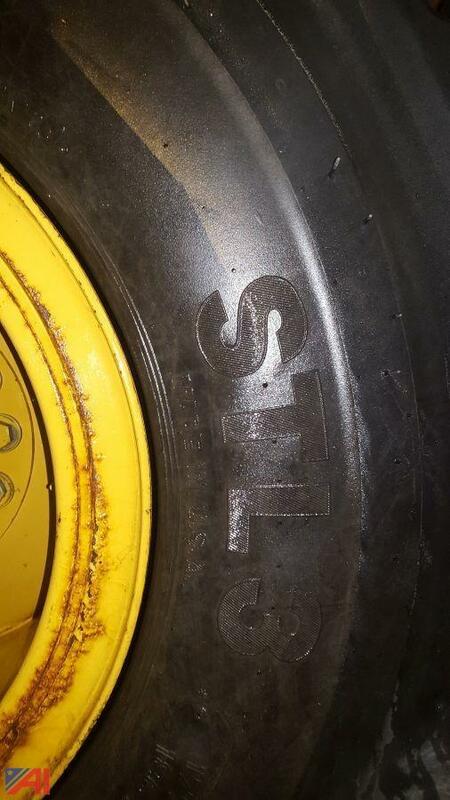 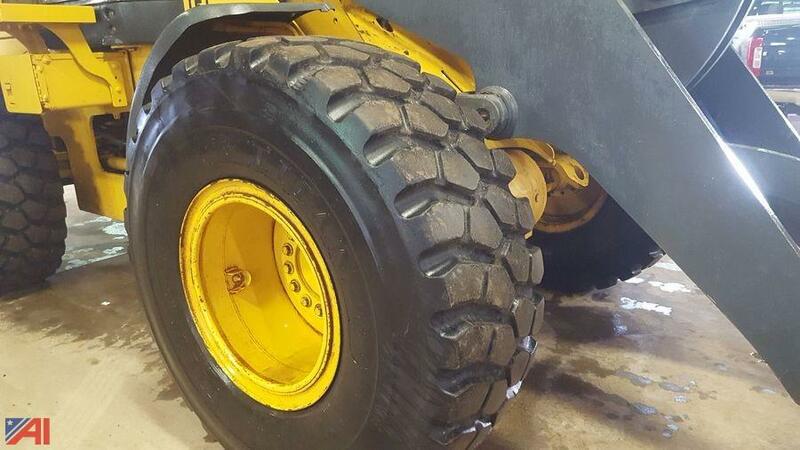 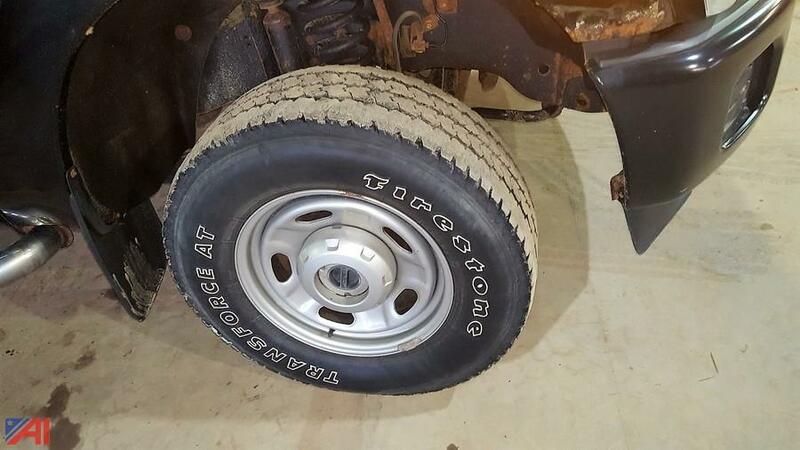 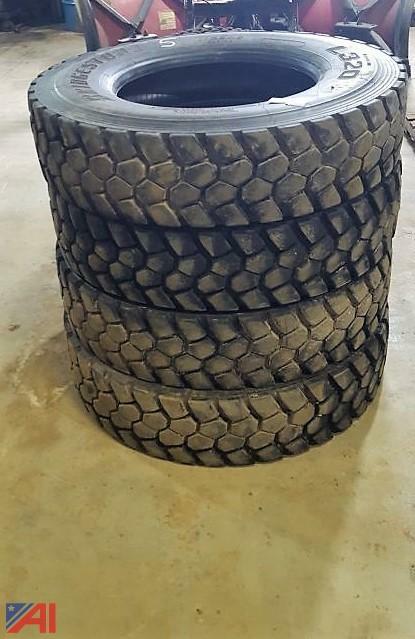 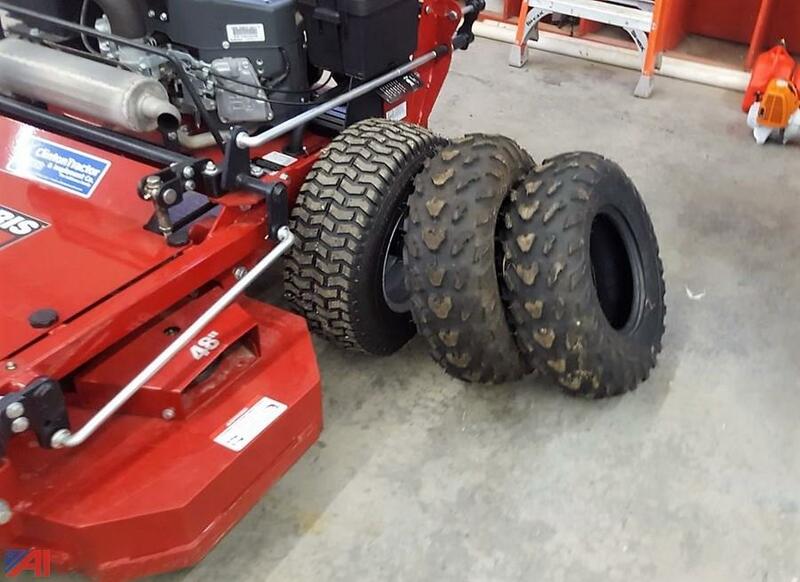 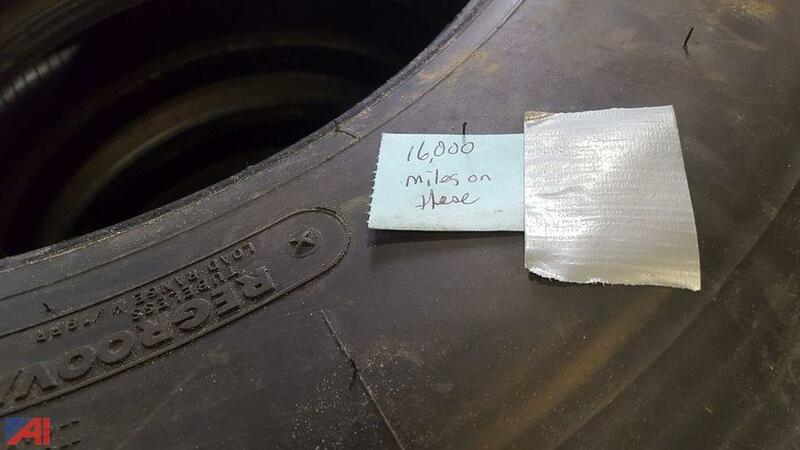 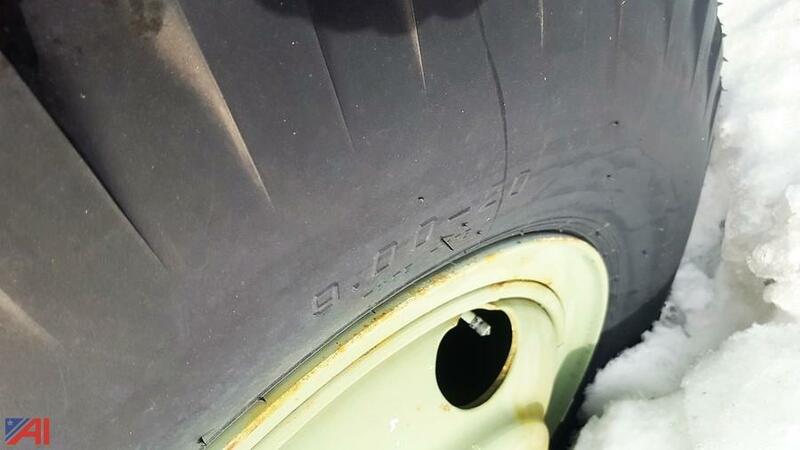 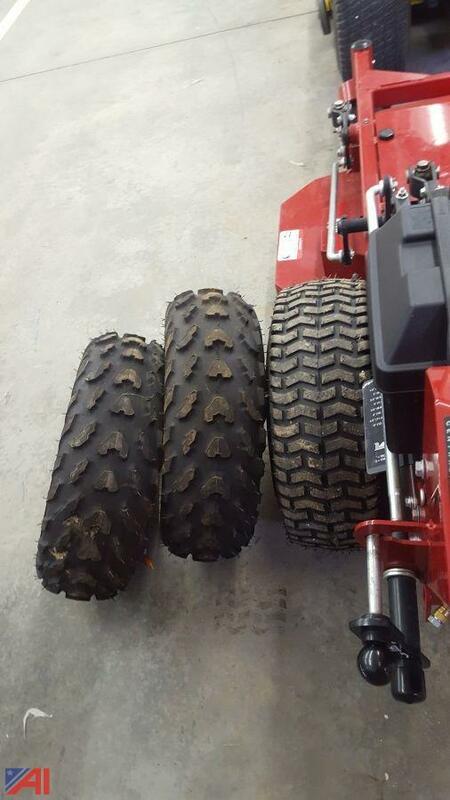 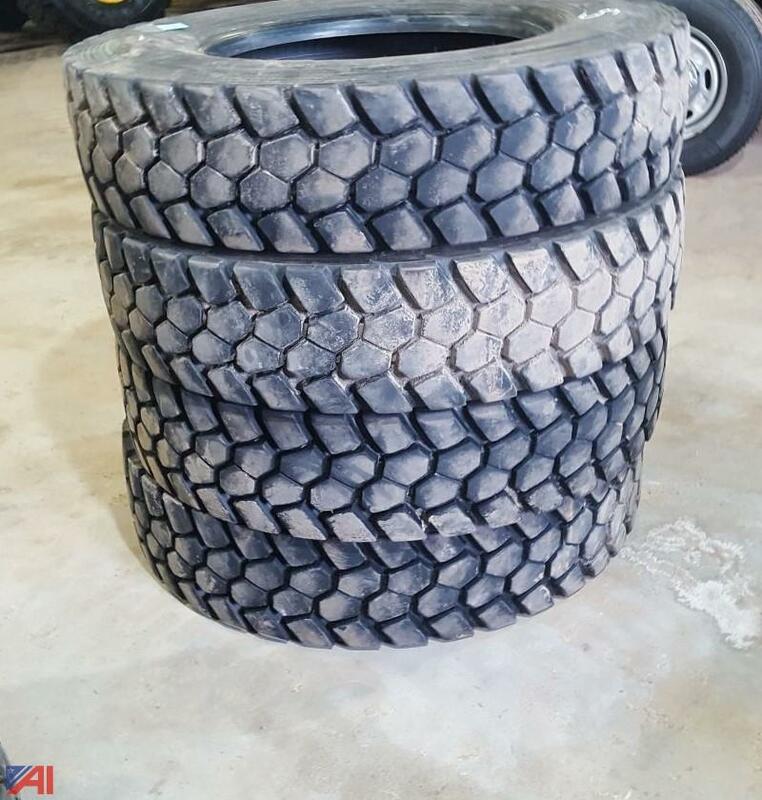 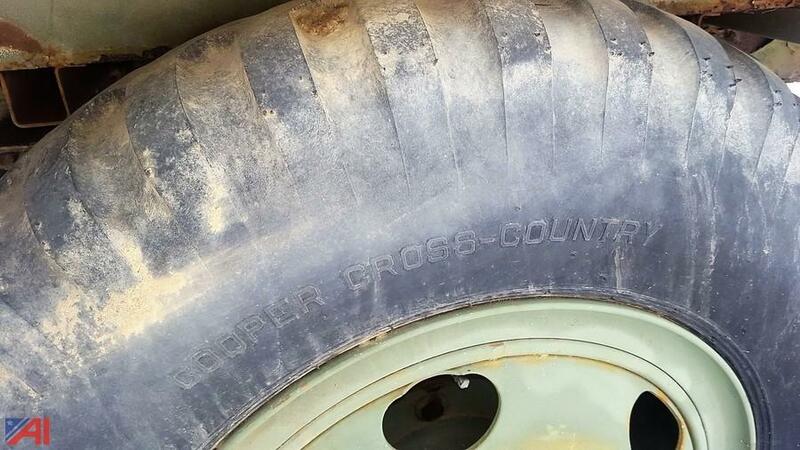 The tire in on the bed of the trailer is NOT included and will be removed prior to the buyer removal. 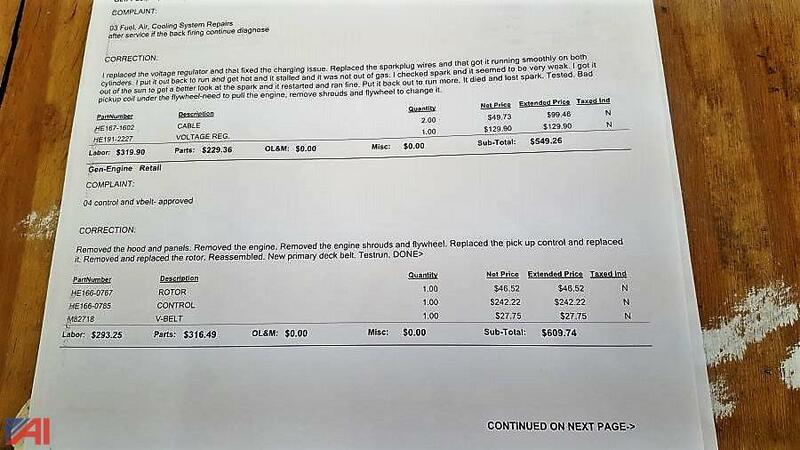 Page last refreshed Mon, Apr 22, 4:46pm ET.